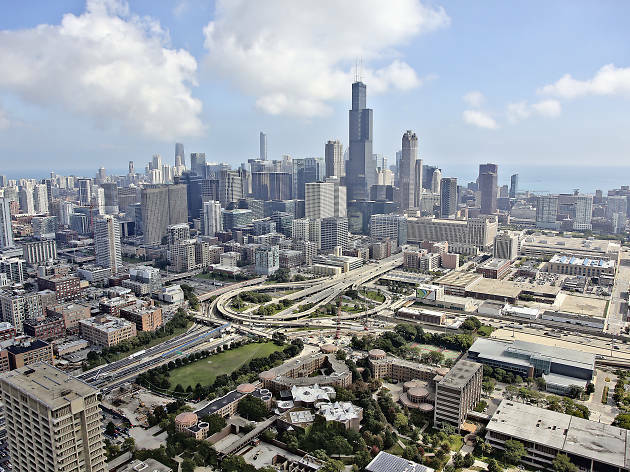 Chicago is universally recognized as an architecture mecca—but what's more fun than arguing about the best of the best? 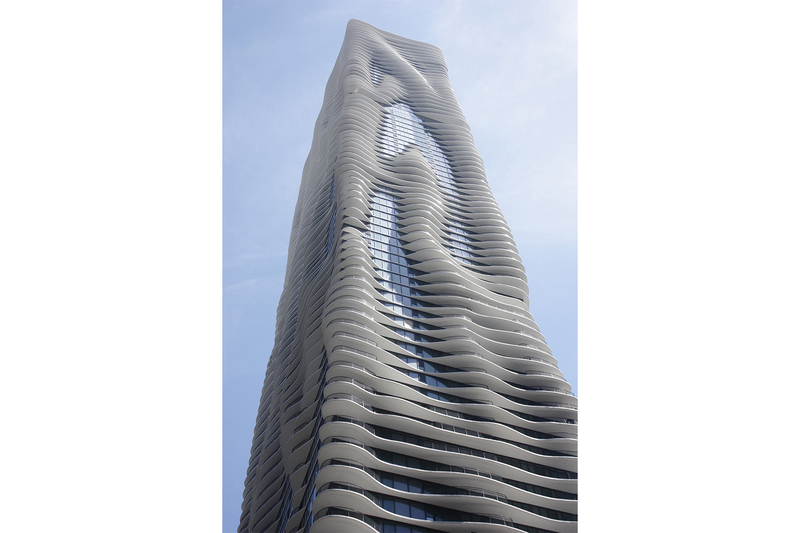 We spent hours debating our favorite buildings, consulting experts, taking (and retaking) some of the city’s best boat tours (for research, of course) and going back to argue again, all to determine this (obviously not at all definitive) ranking of Chicago’s most beautiful buildings. You'll find gorgeous conservatories, historical houses, orante churches and towering skyscrapers on the resulting list, along with some fun facts to impress your friends with. 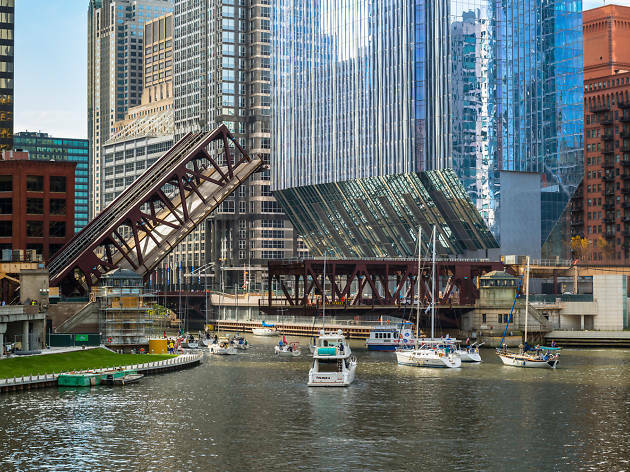 Scroll through our ranking of Chicago's most beautiful buildings, and don't forget to seek them out in the real world. 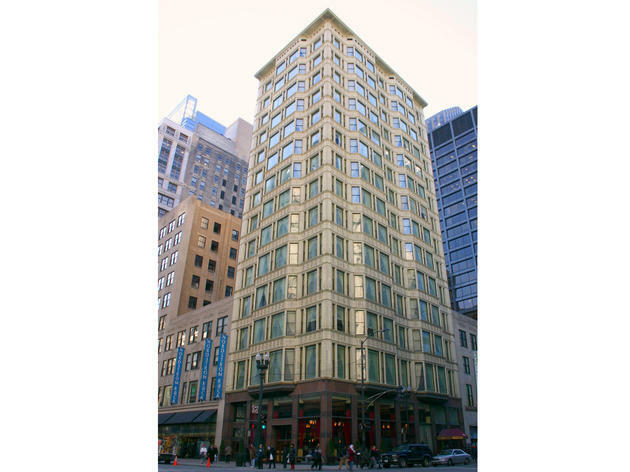 This State Street landmark might be better known to some as the Hotel Burnham, the name by which it reopened in 1999 after extensive restoration. 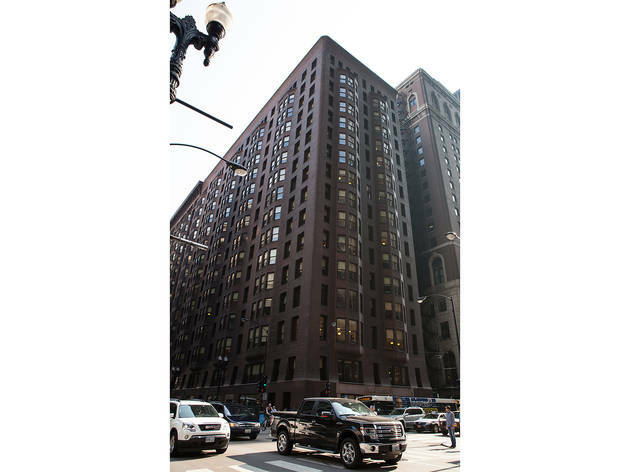 (The hotel is now called the Alise Chicago after changing hands in 2016.) 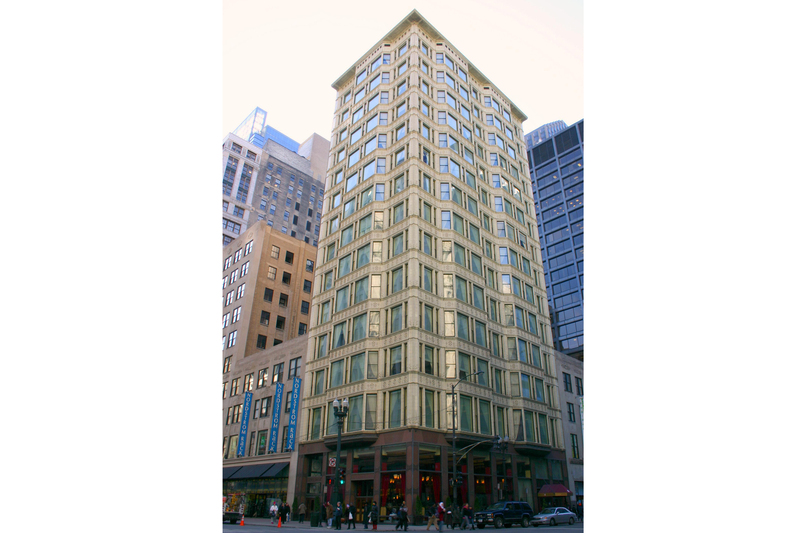 The restaurant at street level, the Atwood, is named for the building’s principal architect, Charles B. Atwood of Daniel Burnham’s firm. 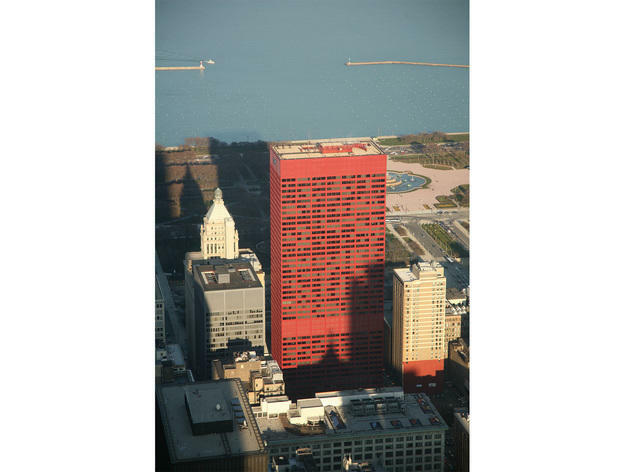 It was remarkable at the time—and still is—for its expansive use of glass; combined with white glazed terra cotta, the building looked almost impossibly light for its 14 stories. 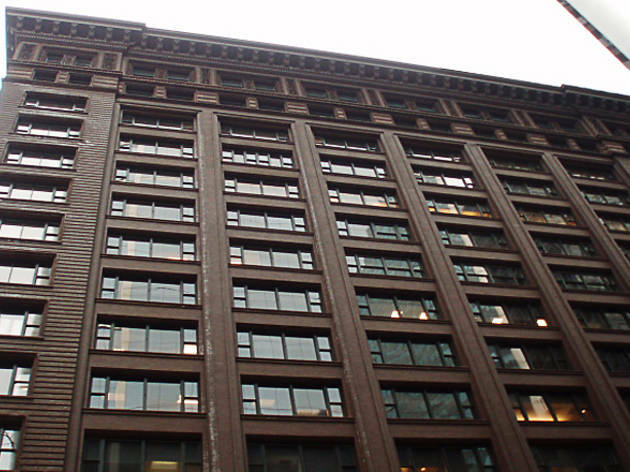 Fun fact The building’s first storefront tenant was Carson Pirie Scott & Co., before it took over its own building a block south. 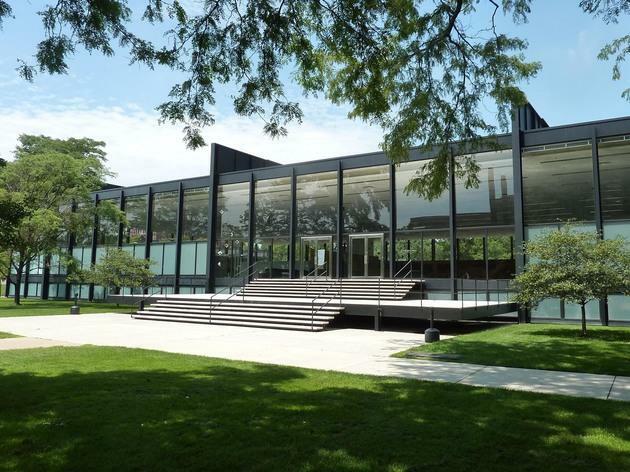 Less can indeed be more, and the sparse design of Ludwig Mies van der Rohe displays the beauty of minimalism. 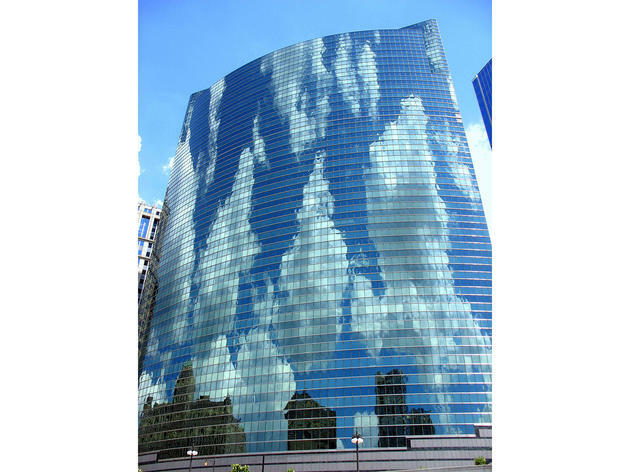 The building is encircled in glass; the lower eight feet is glazed, while the top 10 feet are clear to allow in natural light and beautiful views of the sky without any ground-level distractions. 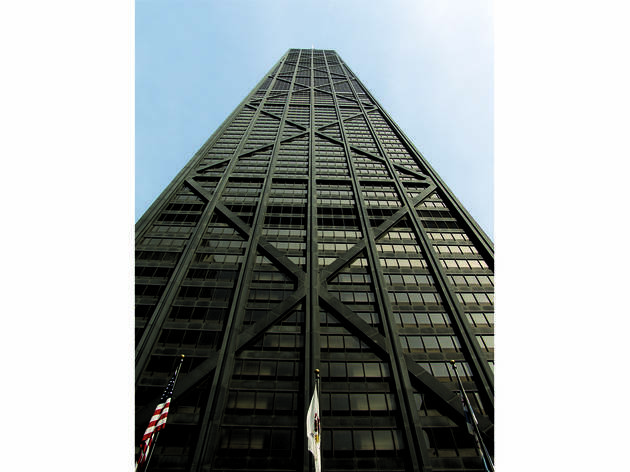 Fun fact City inspectors told Mies that the building’s steel columns would need to be fireproofed with sprayed-on concrete if it were to be built as a classroom. To avoid this, the building was classified as a warehouse during construction. 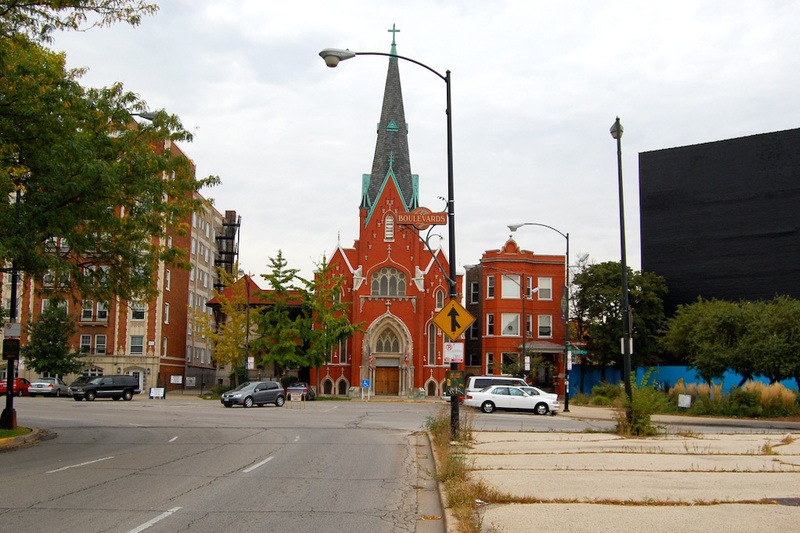 If you’ve ever taken a stroll through Logan Square, you’ve probably seen this neighborhood church, easily distinguished by its bright red brick exterior and teal accents. Built by Norwegian immigrants in 1912, the building was modeled after the Bragernes Church in Drammen, Norway, adopting its Gothic design. 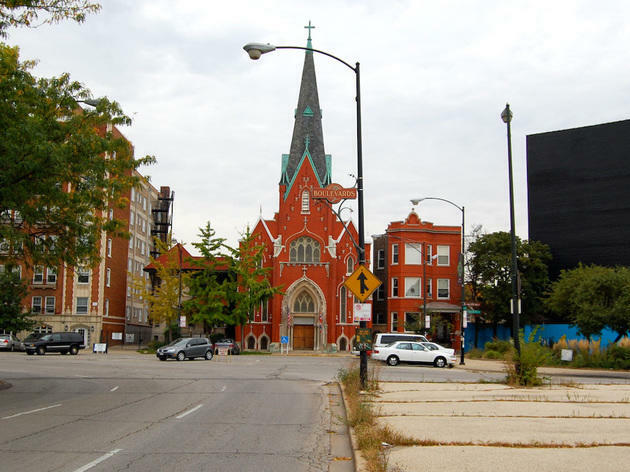 Minnekirken (“Memorial Church” in Norwegian) is a reminder of Logan Square’s legacy as a working-class neighborhood where immigrants were able to bring pieces of their heritage into their new surroundings. Fun fact This is the only church in the city where sermons are delivered in Norwegian. 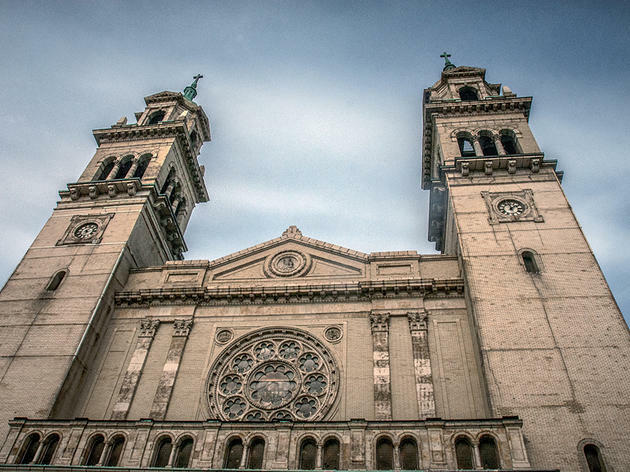 Designed by Henry Schlacks, a Chicago architect who focused on churches, St. Adalbert’s was built for a parish founded in 1874. The heavily ornamented church includes stained glass, murals and other decorations connected to Polish history and culture. 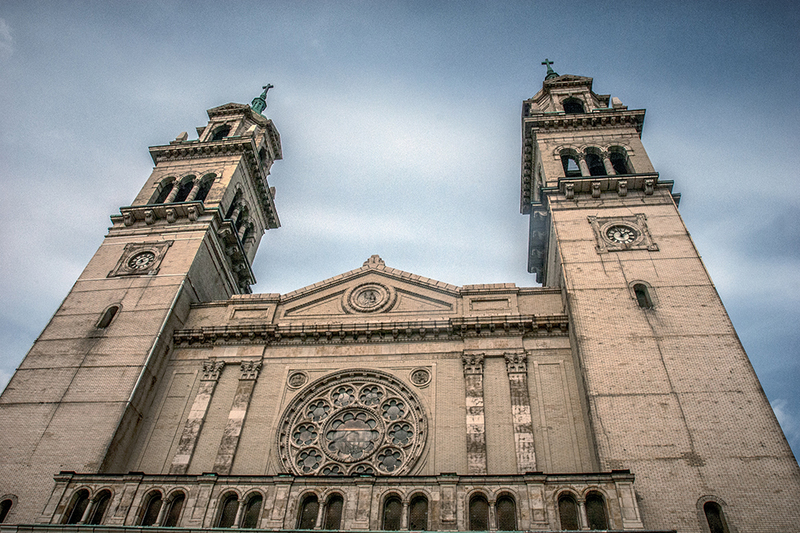 Because the towers need a good deal of reconstruction work, the church was listed as one of the seven most threatened buildings in the city by Preservation Chicago. 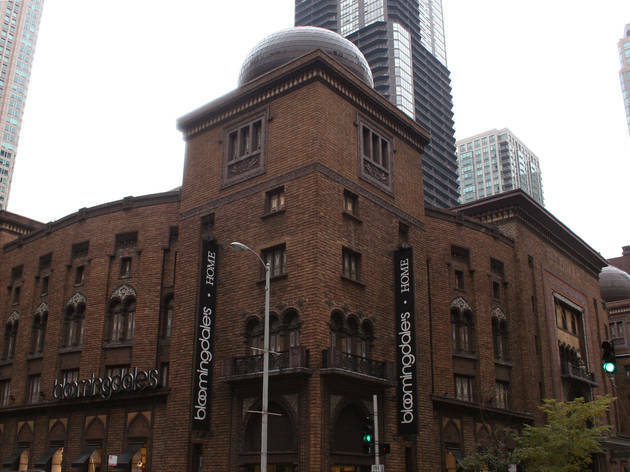 After the Archdiocese of Chicago decided in early 2017 to close the parish, the Chicago Academy of Music agreed to purchase the building. 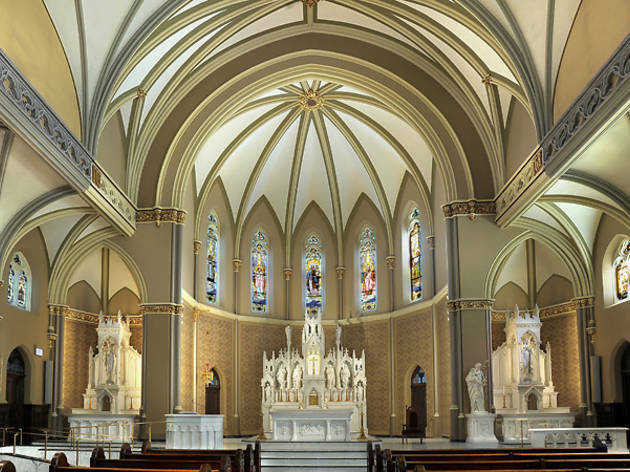 Fun fact The church’s design, with towers and a large open room with high ceilings, was inspired by Roman basilicas. 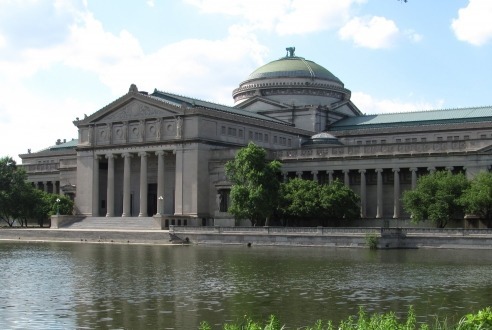 The Museum of Science and Industry is housed in the old Palace of Fine Arts Building, one of two remaining structures from the 1893 World’s Fair (the Art Institute building was partly funded by the Fair). While most of the buildings at the fair were temporary, the Palace of Fine Arts was not, and it was made of brick, with a plaster exterior. During the fair, it showcased 10,000 works of art, primarily American and European oil paintings. The building was spruced up a bit when it became the MSI in 1933—the exterior is now made from limestone, and there’s a brand new interior. Fun fact After the fair, the building became the Columbian Museum, which focused on natural history and was later renamed the Field Museum. In 1920, the Field relocated to its current space, and in 1933 the Museum of Science and Industry opened. Designed by Adler and Sullivan, the Auditorium was the brainchild of businessman Ferdinand Peck, who wanted to make highbrow culture like opera accessible to Chicago’s working-class communities. The massive building housed offices and a hotel, as well as the 4,300-seat auditorium in its early years. It was the first theater to be lit entirely with incandescent light bulbs and to be equipped with a central air-conditioning system. The arch over the stage was painted by Charles Holloway, inspired by a poem written by Sullivan. Fun fact The building housed the United Service Organization (USO) during World War II. 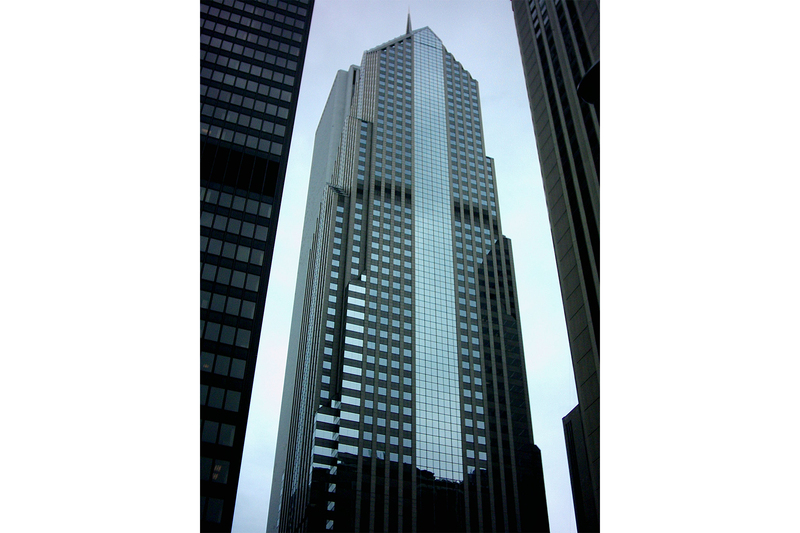 It has adopted several names over the last 30 years but for those of us who grew up noting its unique silhouette amongst the city's more standard skyscrapers, it's affectionately referred to as “The Diamond Building” (or, perhaps, “The Adventures in Babysitting Building”). 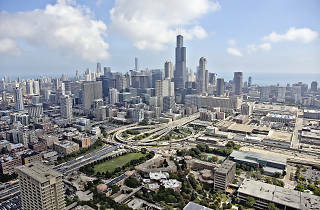 The slanted roof that faces out toward Lake Michigan is always an easily identified patron of the Chicago skyline. Fun fact It’s been destroyed in Transformers: Dark of the Moon and the video game Command & Conquer: Red Alert 2. 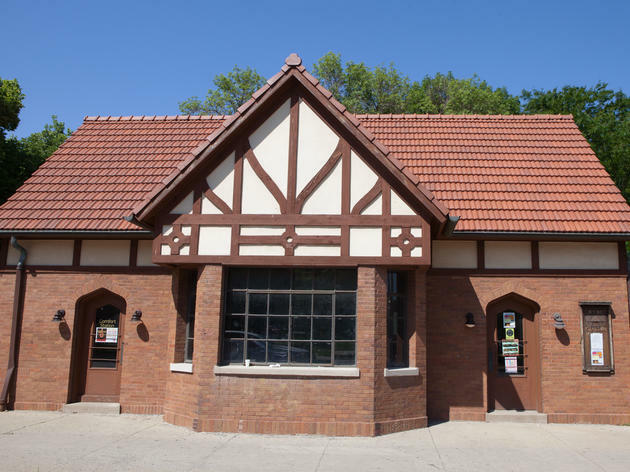 Located across the street from Logan Square’s Centennial Monument, this building looks like a tiny cottage that was mistakenly built in the middle of a city. In reality, the structure used to serve as a rest stop for trolley riders, a remnant of the boulevard system that once served as the city’s main thoroughfare. 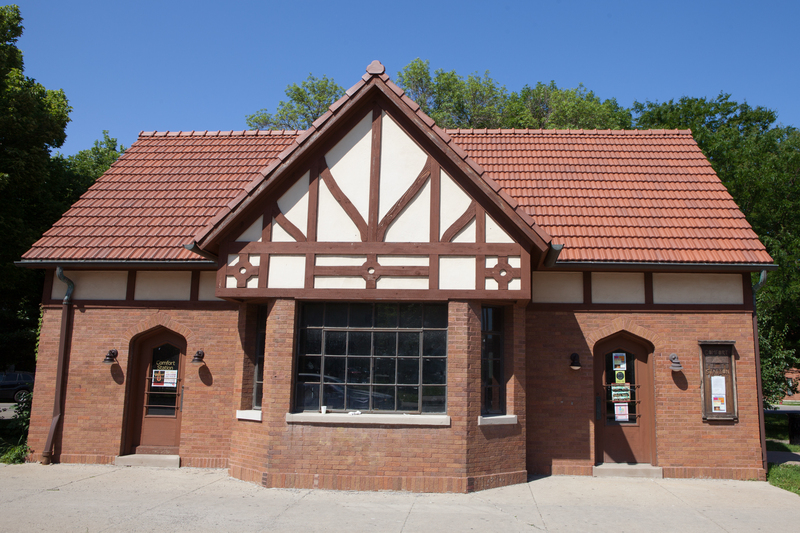 After falling into disrepair, Logan Square Preservation restored the station in 2010, giving its decorative external trusses a fresh coat of paint and turning it into an idyllic community arts center. Fun fact Until it was restored, this building was used to store the city’s lawn equipment. On its own, this red block is not terribly exciting, merely pure International Style functionality. At 44 stories, it’s rather modest in height for a city known for scraping the sky. But it’s all about context. Can you imagine our skyline without that bold pop of color? It’s so simple, it’s joyful. By patterning the lights and blinds inside, the lake-facing side can display the Blackhawks logo or spell “GO BEARS.” What’s inside here? Level after level of upbeat preschools? Fun fact A computer program is used to calculate which lights to turn on when creating the window displays. Fun fact: The building’s lobby houses a nifty digital-art installation dubbed 150 Media Stream. 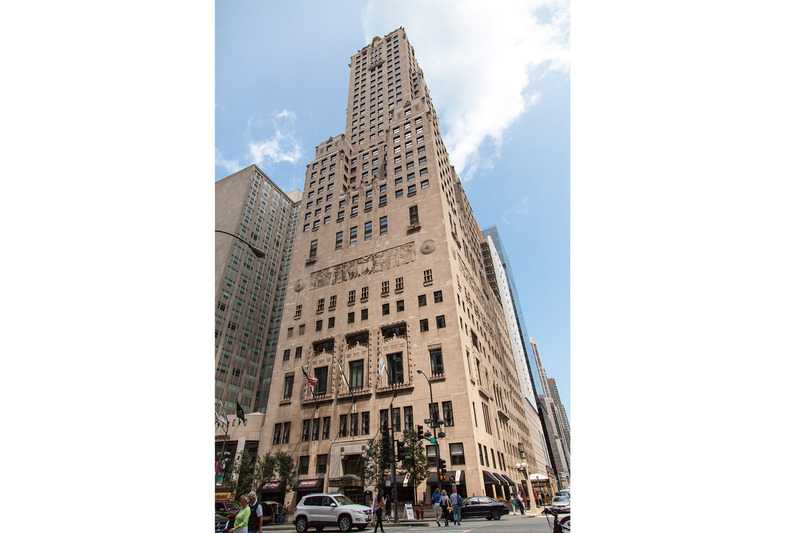 It’s hard to believe this building is only a quarter of a century old, as Adrian D. Smith’s Art Deco design makes it look like the type of building King Kong would’ve scaled had he landed in Chicago instead of New York. It’s an impressive structure during the day, though the brilliantly lit flying buttresses make the skyscraper truly come alive at night. Fun fact One of the building’s tenants is the Consulate-General of India in Chicago. 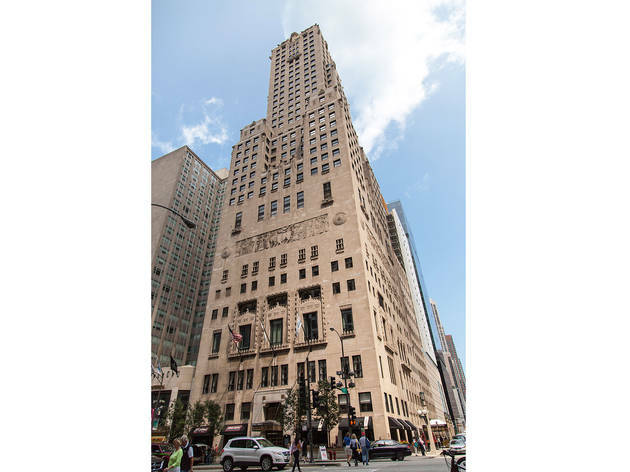 The Board of Trade Building, one of the best examples of Art Deco architecture in Chicago, has a notable cap: a 6,500-pound, 31-foot-tall statue of Ceres, the Roman goddess of grain. The statue, sculpted by John H. Storrs, is a nod to the building’s role in commodities, and it has no face, since Storrs thought the building would be so tall that no one would ever see it. 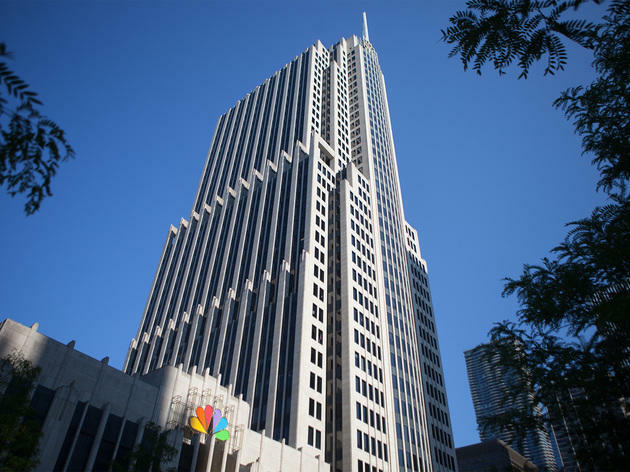 The building has two distinct sections: the original Art Deco tower, which was built in 1930, and the 23-story postmodern expansion that was added to the building’s south side in 1980. Fun fact When it was built (and also after renovations and additions in 1980 and 1997), the trading floor was the largest in the world. The Midwestern Kasota stone gives the three-story mansion a unique peach exterior, and that corner tower window makes it seem like a stout castle hiding away from the nearby Michigan Avenue bustle. 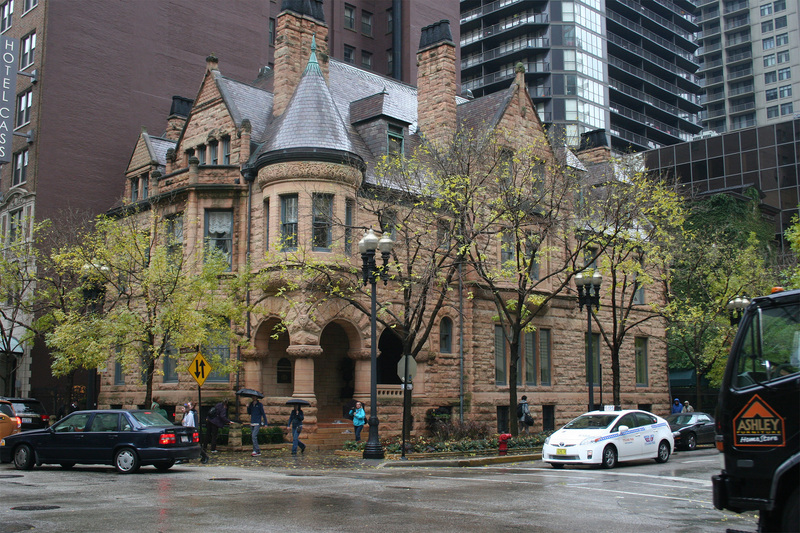 Cobb and Frost built the home for socialite Ransom R. Cable, who served as the president of the Chicago, Rock Island & Pacific Railway Company. Fun fact The home’s second tenant was John Carroll, who, as one of Chicago’s first undertakers, drove the horse-drawn hearse that carried President Abraham Lincoln’s body through the streets of Chicago and down to Springfield for burial. 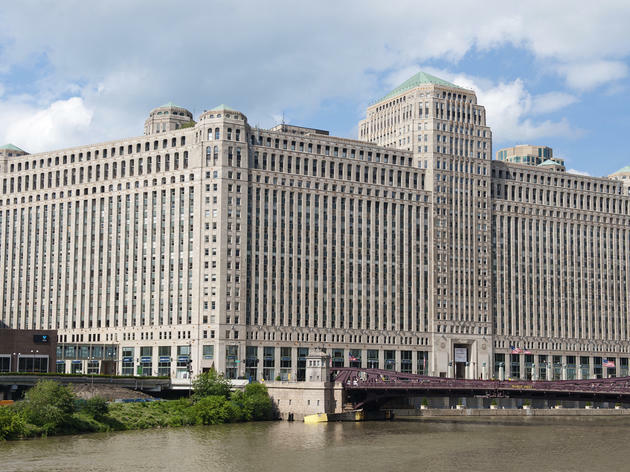 The fact that this gargantuan building has 4.2 million square feet of rentable space yet manages to look beautiful and completely un-warehouse-like is a marvel. 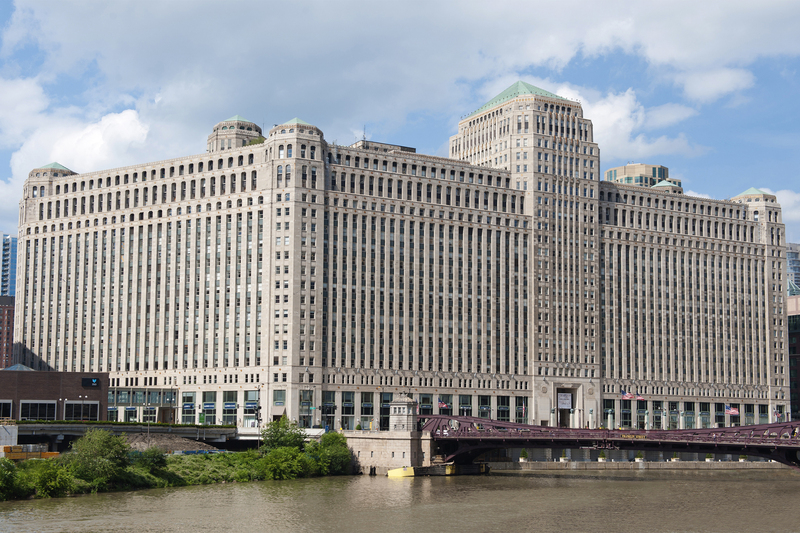 The largest commercial building in the world, this Art Deco gem originally housed Marshall Field’s wholesale store. Fun fact The Mart was used as government offices during World War II until Joseph P. Kennedy bought the building and restored it to its retail glory. 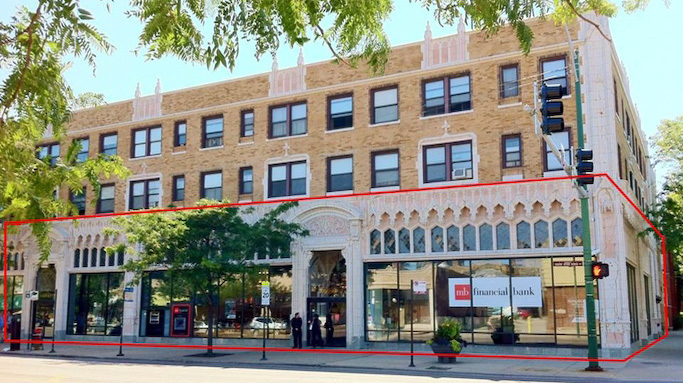 Most recently inhabited by MB Financial, this Edgewater architectural wonder is now vacant—though it’s recently hosted some pop-up events and served as a shooting location for NBC’s Chicago Fire. 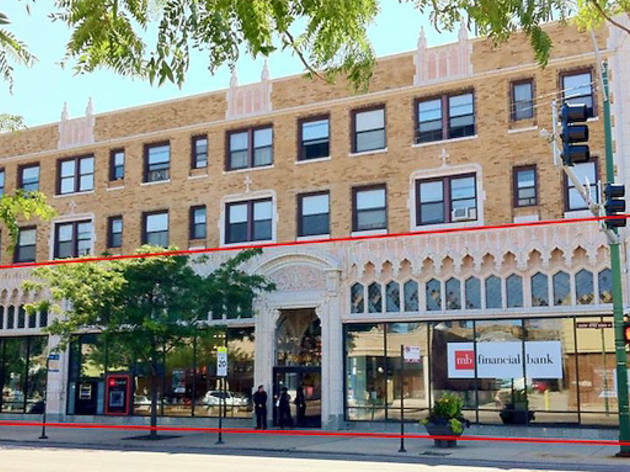 The grand space, originally built as a car showroom, deserves a tenant that can do it justice (i.e., not a bank). On the outside, white terra cotta drapes small overhead windows in a French-Gothic style, while on the inside, a huge open floor is surrounded by white stucco walls, an enormous staircase curves down from a second floor and chandeliers drop down from a soaring ceiling. Fun fact Edgewater’s “automobile row” on Broadway was home to 30 car dealerships in 1929. The Shriners do not play when it comes to commissioning beautiful buildings. 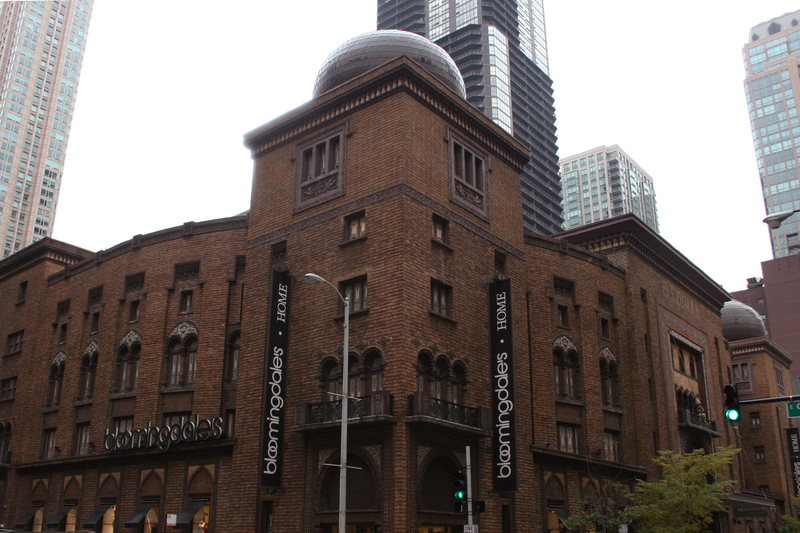 This one was saved from demolition by Bloomingdale’s, which opened its first Home Store in the building in 2003. (Thanks, Bloomie’s!) One hundred years ago, the Moorish-style building was used as an auditorium for the Shriners’ circuses and events. Ornamented in Middle Eastern style, with arches, domes and colorful mosaics, this is a stop-dead-in-your-tracks-and-gawk structure. Fun fact The Medinah Temple’s auditorium once sat 4,200 people. 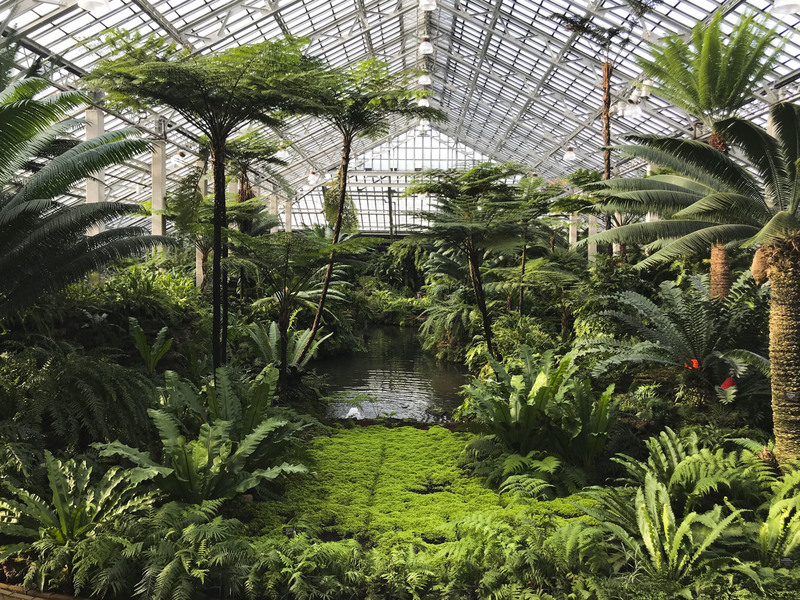 At a time when collections of exotic plants were becoming increasingly popular and structures utilizing steel and glass were becoming prevalent, the Lincoln Park Commission decided to replace a small greenhouse with a large conservatory. Architects Joseph Lyman Silsbee and Mifflin E. Bell worked together on the design, creating a series of rooms in the Victorian style. Sheltered by trusses that form ogee arches, structural changes to the Palm House, Fern Room and Orchid Room have been minimal over the past 100 years, though the conservatory’s vestibule did receive an important upgrade in 1954: public restrooms. 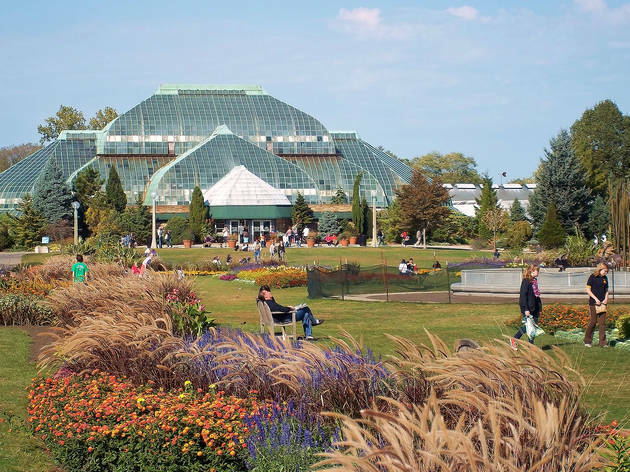 Fun fact The conservatory holds more than 40,000 plants representing close to 200 species. This English Gothic structure in Lakeview towers over Belmont Avenue with its Indiana limestone and gorgeous stained glass. Stroll past on any given Saturday between April and October and you’ll likely find a wedding party posing for photos on the church steps. Fun fact Our Lady of Mt. 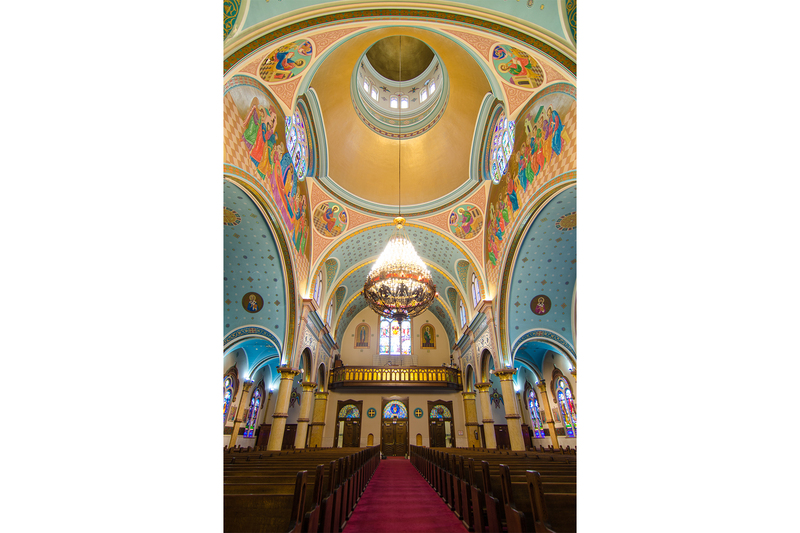 Carmel has two pipe organs, one built in 1928 and the second 59 years later, in 1987. 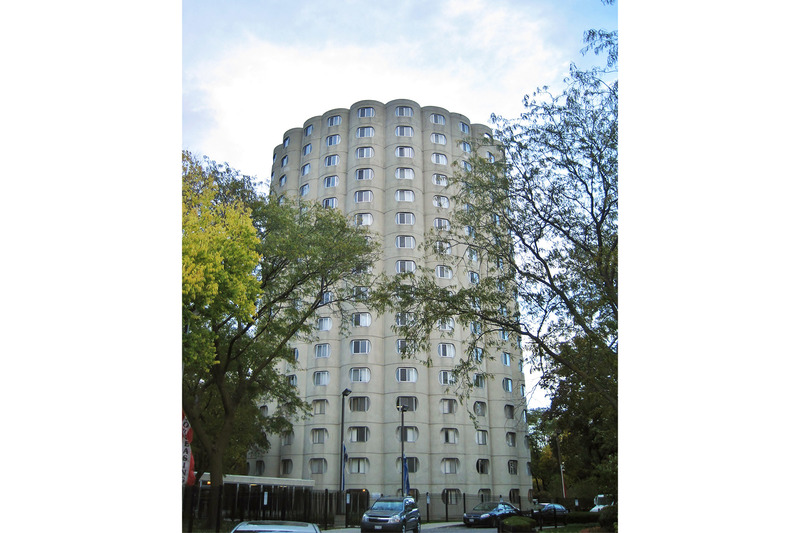 This overlooked Bertrand Goldberg project greets you at the Chinatown Red Line stop. Like the Marina Towers and River City, the honeycombed retro-futurism brings to mind utopian optimism and sci-fi pod living. His living spaces look like Luke’s home on Tatooine. 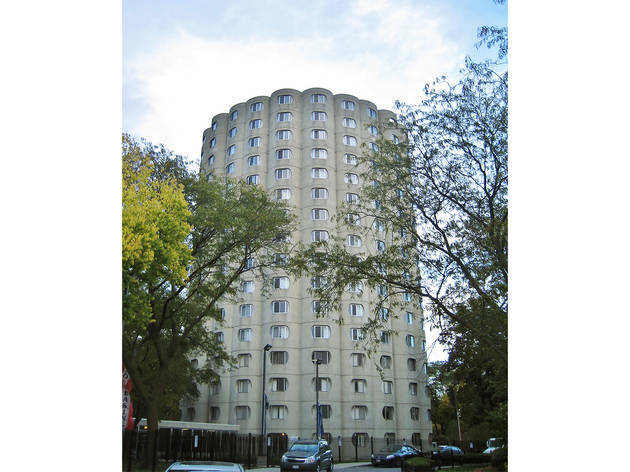 Those who live in public housing deserve Jetsons aesthetics, too. Fun fact Raymond Hilliard residents were chosen from records of model citizenry in other CHA projects. This Nouveau beauty’s got it going on in the back side. 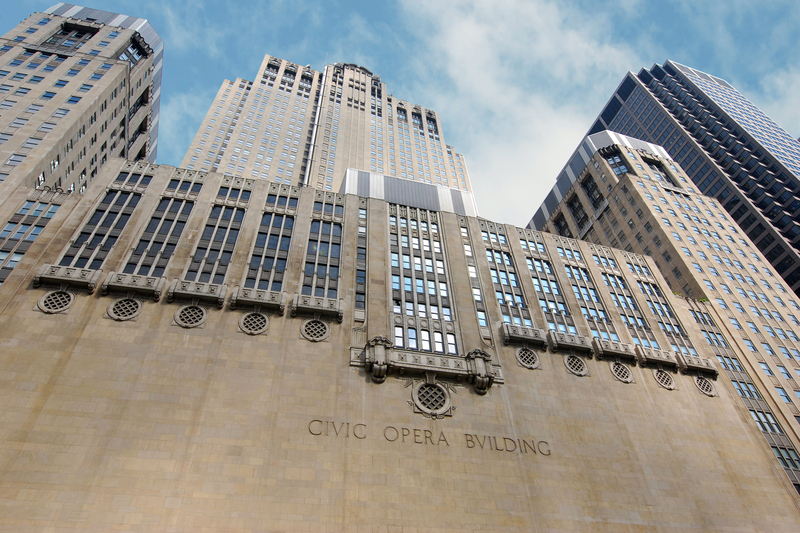 As you cross the Madison Street bridge, the monolithic Civic Opera House stunningly looms over the Chicago River, a sheer cliff of Art Deco stone. 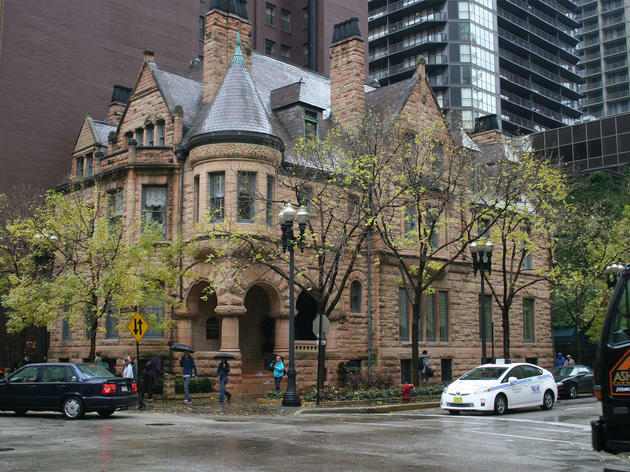 The throne-shaped home of the Lyric Opera was the dream of electricity magnate and billionaire Samuel Insull, and was designed by the firm Graham, Anderson, Probst & White. 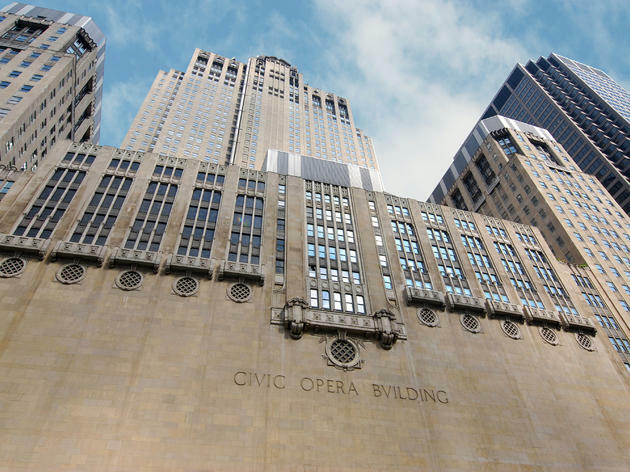 Even the font is fantastic—CIVIC OPERA BVILDING cast humbly against the blank wall. Trump should have been taking notes. Fun fact Citizen Kane was partly based on Samuel Insull, especially the bits with Susan the opera singer. 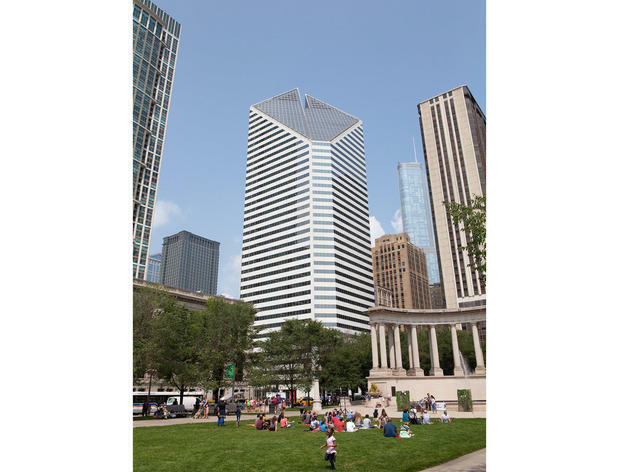 We’ve called its sibling, One Prudential Plaza, one of downtown’s ugliest buildings, but “Two Pru,” with its shiny glass and granite, soaring chevron setbacks and pyramid crest ending in a pointy spire, feels like a cross between the Chrysler Building and a rocket ship next to its squat older brother. It’s easy to gaze up from the lawn at Pritzker Pavilion on a summer evening and imagine it blasting off. 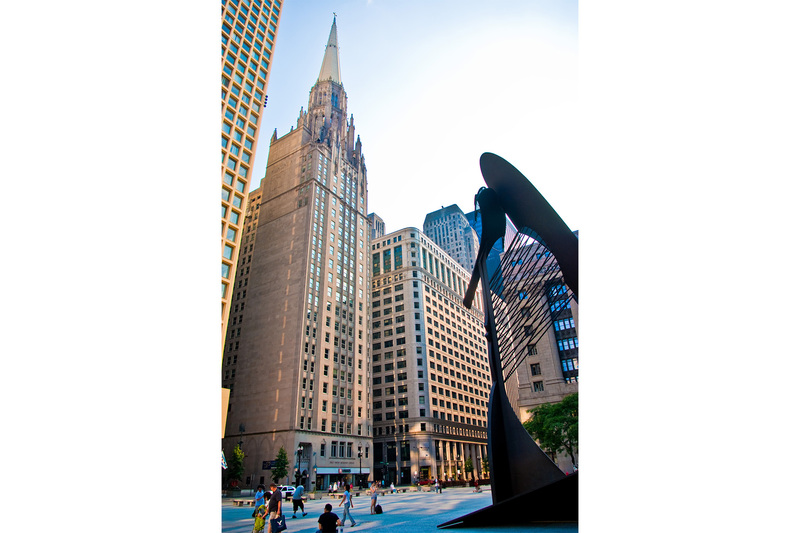 Fun fact Two Pru’s concrete structure won an award from the Structural Engineers Association of Illinois in 1995. A favorite on river cruise architecture tours, this modern office tower uses its spot on the river’s bend to beautiful advantage, with its northwest face a smoothly curved curtain of green glass that catches the light and gorgeously reflects the sky, water and the buildings across the river. On the building’s entrance side, the crown is distinctively serrated. 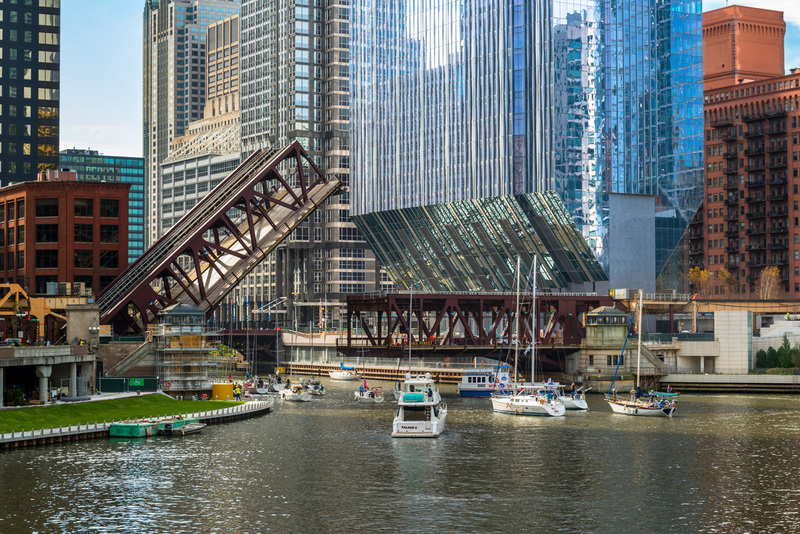 The design made stars of the young firm behind it, Kohn Pedersen Fox, which eventually designed both of 333’s immediate neighbors, 225 West and 191 North Wacker. 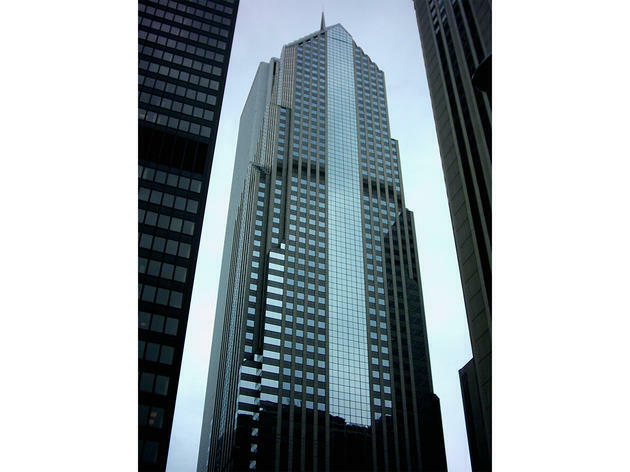 Fun fact 333 West Wacker was featured in Ferris Bueller’s Day Off as the location of Ferris’s dad’s office. 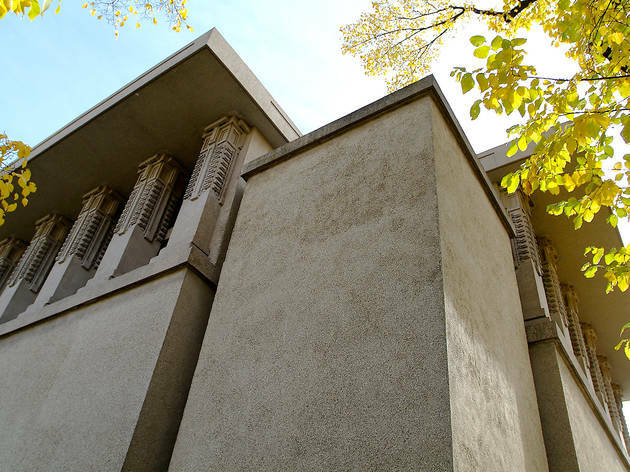 Frank Lloyd Wright described the Unity Temple as his “contribution to modern architecture,” a stark concrete structure that was highly unorthodox at the time of its construction. Oak Park’s Universalist congregation asked Wright to design the church after the group’s original church burned down in 1905. Inspired by the principals of the Universalist faith, Wright created a largely unadorned building with separate areas for worship and social functions. The building became a National Landmark in 1971, but preservationists are still struggling to raise funds to repair the structural damage that has plagued the building. Fun fact The thick concrete walls of this church were designed to shield worshippers from the noise created by nearby streetcars and trains. 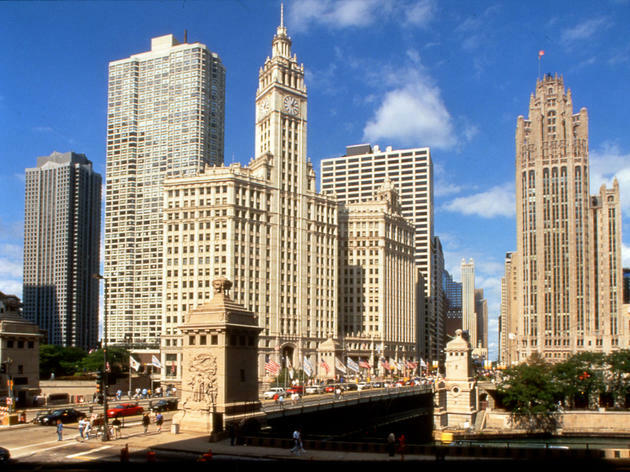 Really two buildings connected by a walkway on the 14th floor, the Wrigley Building commands attention from its perch on the Chicago River due to its beauty, of course, but also because bright lights illuminate its six shades of white stone every evening. 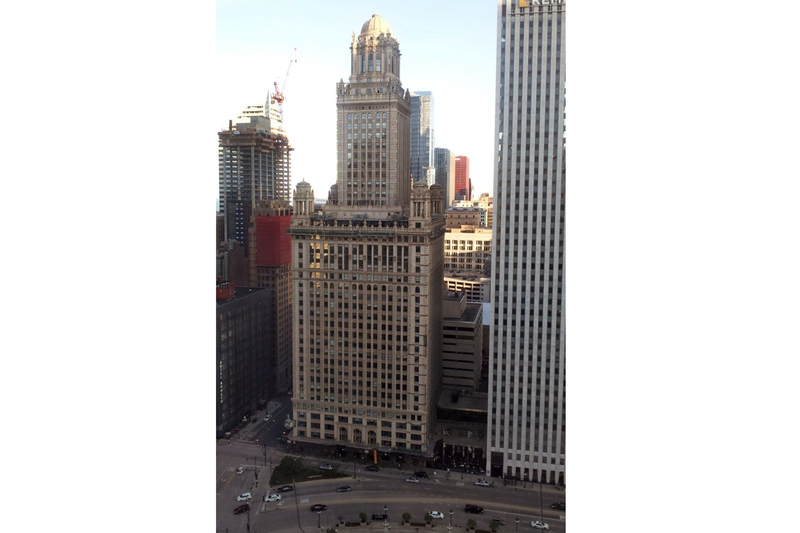 Perhaps the best vantage point to appreciate the building is from the Terrace at Trump Tower, where you can get an up-close look at the two-story-tall clock face and notice details you can’t see from the ground. 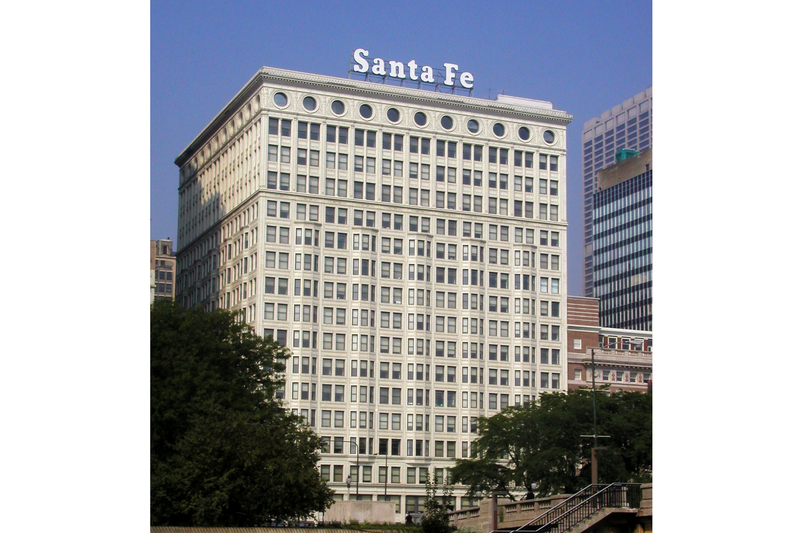 Fun fact This was the first office building in Chicago to have air conditioning. 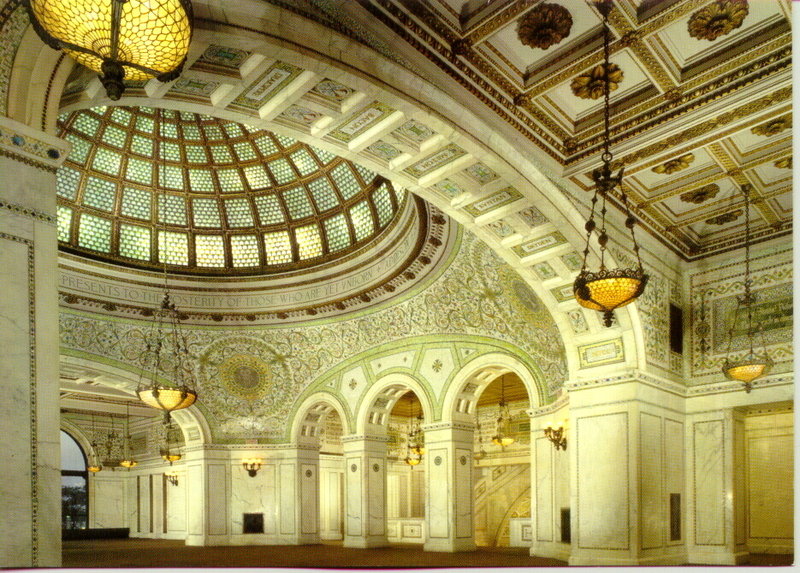 After the Great Chicago Fire decimated the city’s public reading room, England donated 8,000 books to the city, necessitating the construction of a building to hold them. 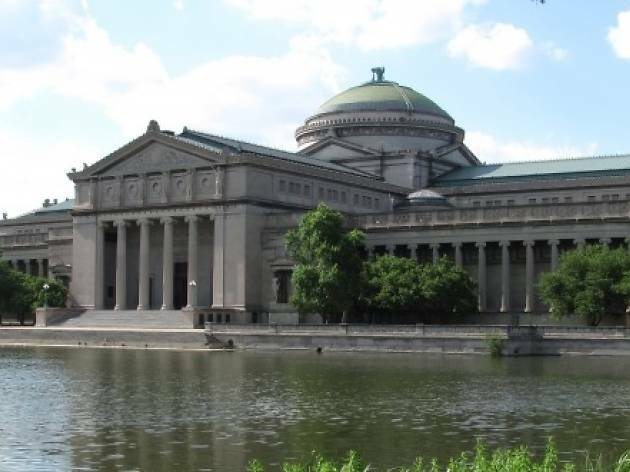 Inspired by the neo-classical architecture of the buildings constructed for the World’s Columbian Exposition in 1893, Chicago’s first public library was designed by Boston-based architectural firm Shepley, Rutan and Coolidge, which had just finished the original Art Institute building. Completed in 1897, the ornate granite and limestone structure features marble halls and a Tiffany glass dome that is 38 feet in diameter, the largest of its kind. 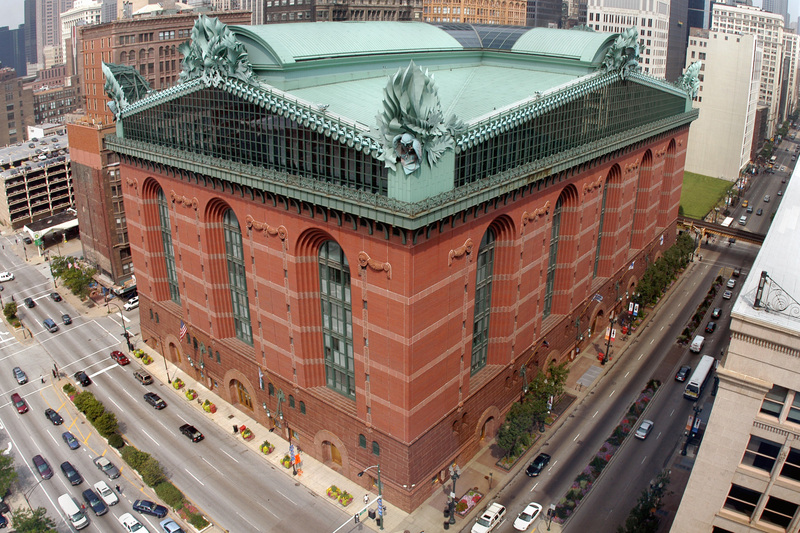 When the library’s collection was moved to the Harold Washington Library in 1991, the building became the Chicago Cultural Center, a free museum and arts center. Fun fact It took almost a year for 70 men to drive 2,357 wooden piles 75 feet into the clay below the site’s soil, creating the structure’s foundation. The Moorish yellow dome is a tip-off that this building has Shriner roots. 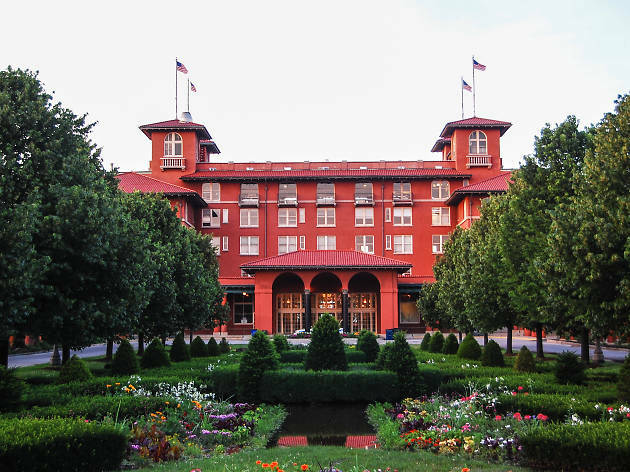 Originally the home of the Medinah Athletic Club for those fez-wearing, tiny-bike-riding Shriners, the building was purchased by InterContinental Hotels in 1988. The building’s original features were painstakingly restored, including the four-story lobby and the 14th-floor indoor pool—if Spain’s Alhambra had a junior Olympic–sized swimming pool, it would look something like this. Fun fact Look up just after you walk through the Michigan Avenue entrance; the Shriner greeting "Es salumu Aleikum" ("Peace be to God") is carved into marble between two columns. 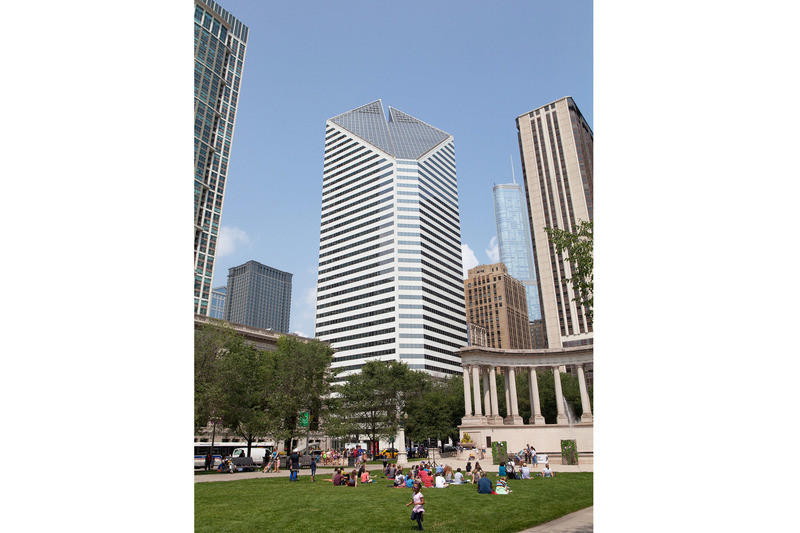 During Harold Washington’s tenure as mayor, Chicago finally settled on a permanent location for the library’s flagship branch, which had been in temporary quarters since 1977, when the Chicago Cultural Center took over the building. 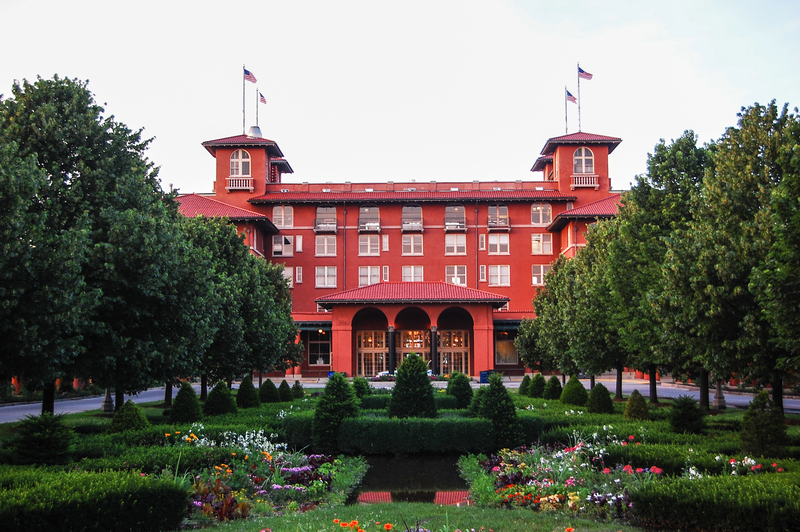 A 1988 design contest resulted in a plan incorporating design elements from nearby buildings like the Rookery and the Monadnock along with acroteria (those big green sculptures on the roof), which depict owls, a symbol of knowledge. 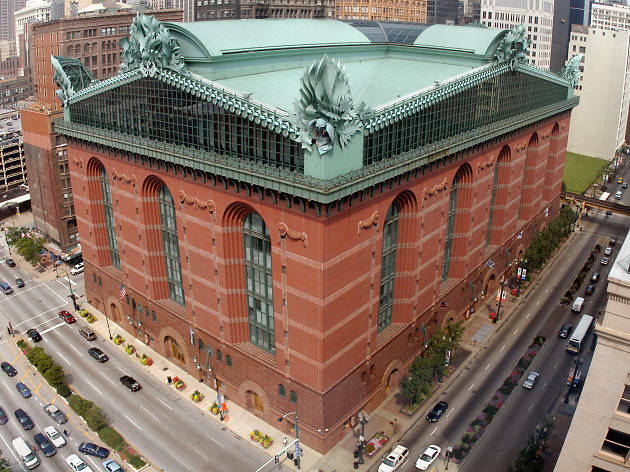 Fun fact When it opened in 1991, the Harold Washington Library was the largest public city library in the world. This handsome 19th-century example of the Chicago School is now home to the John D. and Catherine T. MacArthur Foundation, which oversaw a restoration a decade ago. Its dark brick and terra-cotta façade is pleasingly structured, showing the bones of its steel skeleton. But much of the beauty is in the details: Bronze relief sculptures over the entrance depict the travels of Father Jacque Marquette and Louis Joliet. 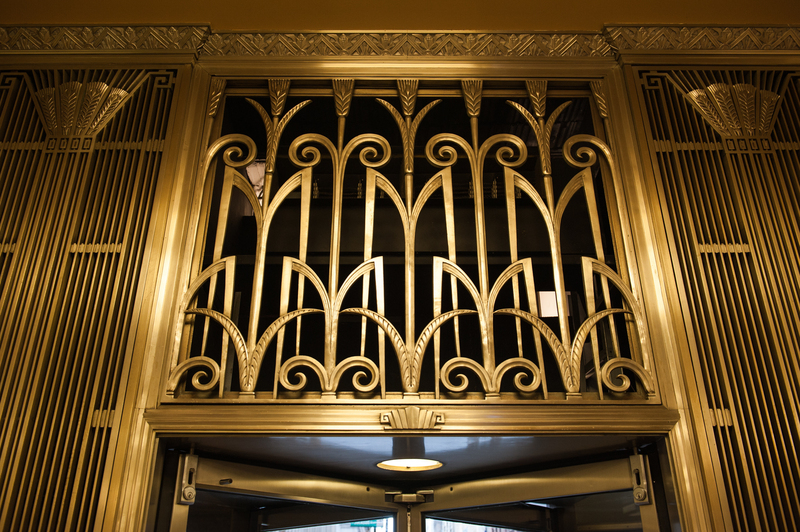 The revolving doors lead to a two-story lobby marked with busts of Marquette, Joliet and their party as well as chiefs of important Native American tribes, all designed by Edward Kemeys; the balcony railing is home to Tiffany mosaics of further scenes from the explorers’ trek. Fun fact Kemeys also designed the Art Institute’s lions. Looking up at the gleaming tower it can be hard not to get distracted by dreams of what it might be like to live inside the luxurious condo building (movie stars have frequently been housed here while filming in the city), which boasts a shocking list of amenities including a third-floor park, indoor and outdoor pools, and even an on-site dentist. 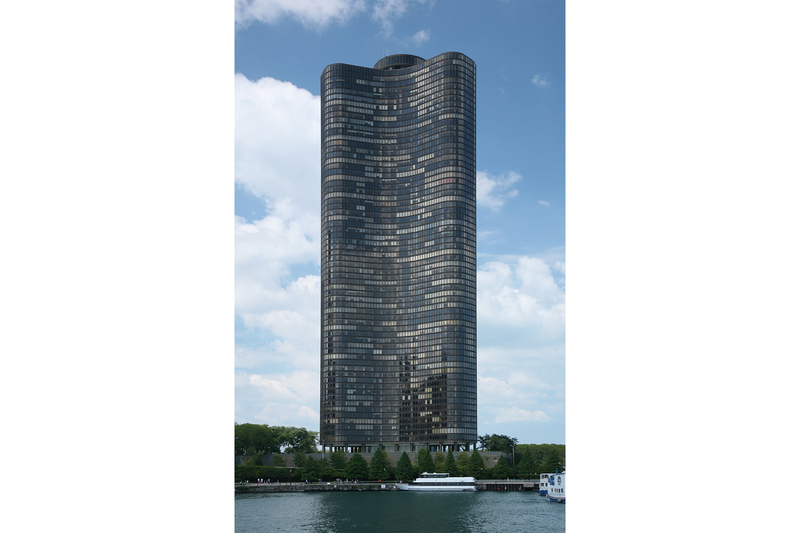 Thanks to its unique shape and the fact that it’s the only skyscraper in the city located east of Lake Shore Drive, it boasts fabulous views from every unit of both the Chicago skyline and Lake Michigan. The building is perhaps most striking in direct sunlight, when the bronze-tinted glass and gold-anodized aluminum in its façade reflect the rays and transform its dark exterior into a golden tower. 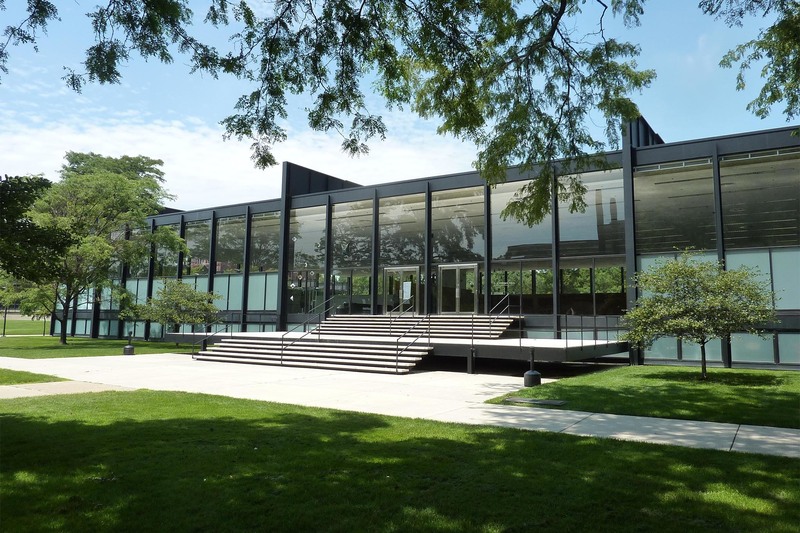 Fun fact Architects George Schipporeit and John Heinrich were students of Ludwig Mies van der Rohe, and the building was inspired by his 1922 design for glass-curtained skyscraper in Berlin. This 17-story office tower, also known as the Railway Exchange Building, looms large over Michigan Avenue. 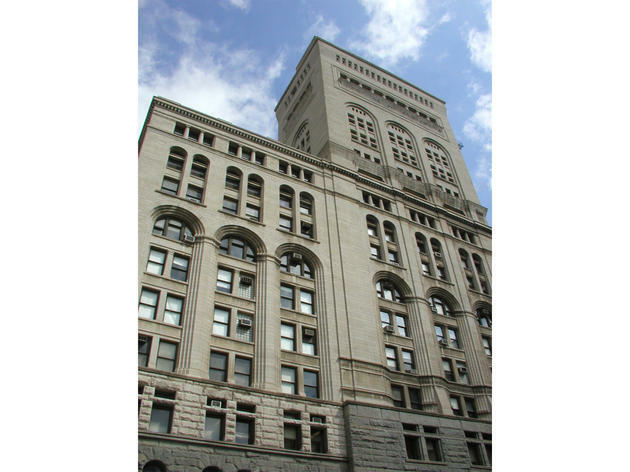 Designed by Daniel Burnham’s firm, the building's white terra-cotta façade is ridged with rows of bay windows that give it visual texture; the top of the building is marked by a ring of circular portholes underneath the cornice. 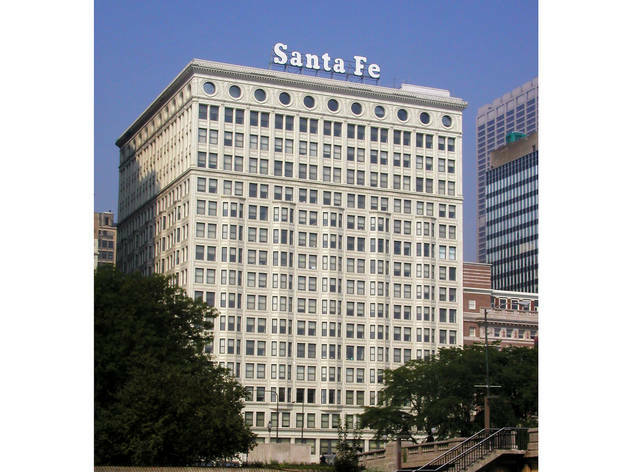 The iconic Santa Fe sign facing the lake that topped the building for decades was replaced in 2012 by the logo of one of its current tenants, Motorola. Fun fact Burnham moved his own office into the building, and developed his Plan of Chicago on the top floor. 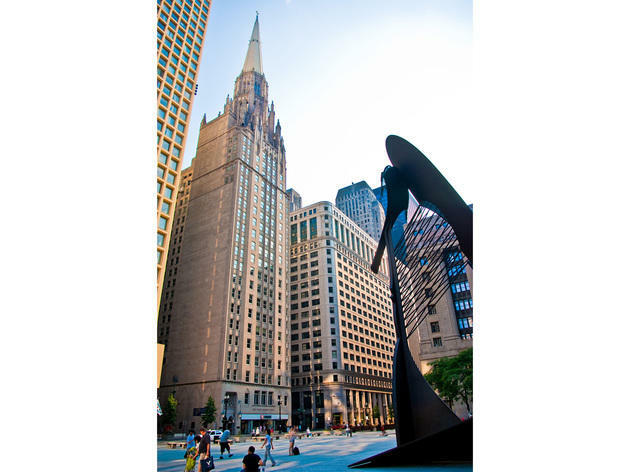 This 23-story sacred space is home to the First United Methodist Church of Chicago, the oldest church in the city—it has occupied this spot on the corner of Washington and Clark Streets since 1838. 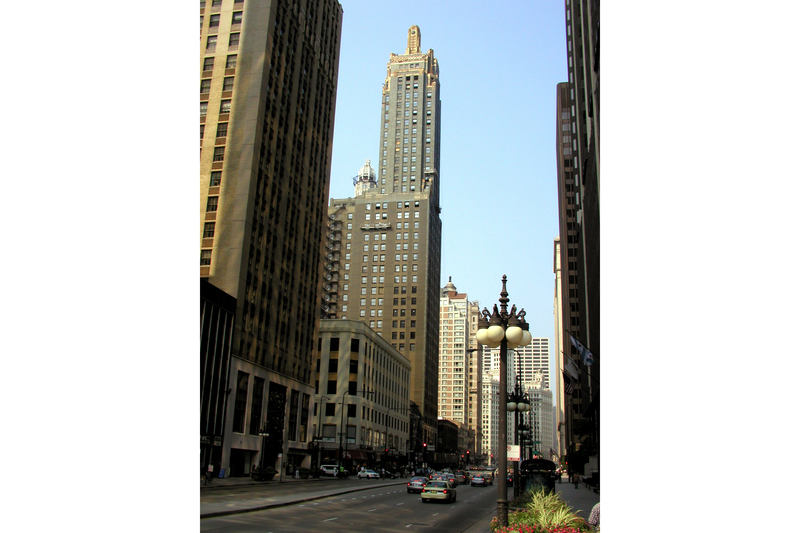 Constructing this skyscraper—the tallest building in the city from its completion in 1924 until it was surpassed by the Board of Trade in 1930—was a statement of its commitment to the city amid pressure to move to the suburbs. 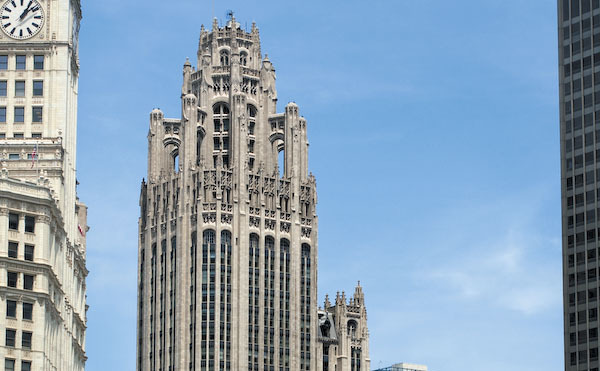 Its spire and enormous steeple, done in a Neo-Gothic style similar to Tribune Tower, which was finished the year after the Temple Building, serve as a beacon standing sentry over Daley Plaza. 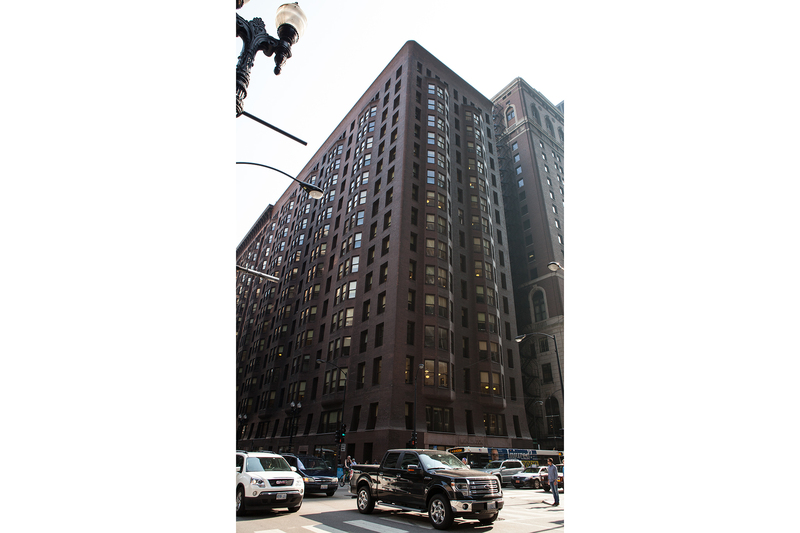 Fun fact Most of the building’s floors are rented as office space, with the proximity to government offices making it popular with lawyers; Clarence Darrow once had an office on the sixth floor. After celebrating its 100th birthday in 2014—which means a World Series still has yet to be won at Wrigley, since the Cubs ended their 108-year drought in 2016 on the road in Cleveland—the Friendly Confines is continuing to evolve with the neighborhood around it. In recent decades, that’s meant the controversial installation of lights in 1988, the bleacher expansion in 2005 and the video boards that went up in 2015. 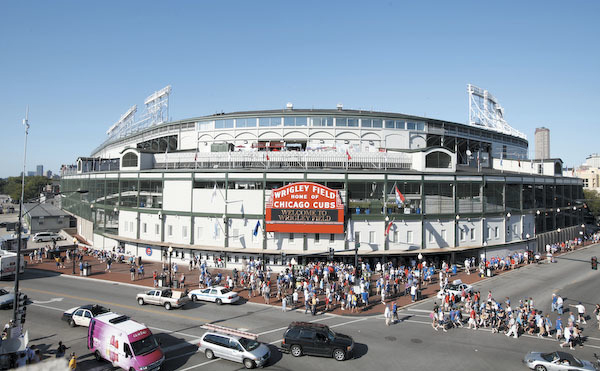 The Cubs’ current owners, the Ricketts family, have continued to push for revenue-generating “modernizations,” in and around the park—see the office building and public plaza that debuted in 2017 on Wrigley's west flank, and the still-under construction hotel, residential and retail developments transforming the other corners of Clark and Addison. 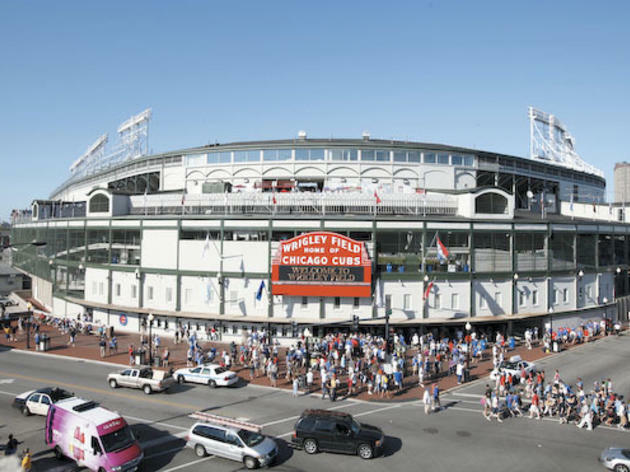 But like its baseball club, Wrigley remains lovable—and we’d argue it’s because of the interplay between its history and its environs. Fun fact It’s the oldest surviving National League ballpark, giving fans a taste of baseball’s golden age from seats that offer a view of both the legendary ivy and a thriving surrounding neighborhood instead of a sea of suburban parking lots. 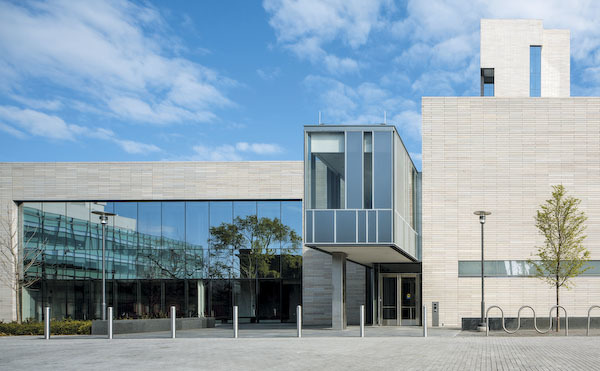 Of the three structures that make up this modernist cluster of the University of Chicago, it’s the Jenga-like limestone tower that draws the eye and wins a place on this list, not its lower siblings with the sawtooth solar and green rooftops. The overall look is stereotypical of today, all sharp angles and eco-consciousness, to the point of looking ripped from the pages of Dwell or Monocle. But there’s also the look of a child’s toy or a puzzle, as if it were designed by Lego. It announces that you’re going to get heady arts with a playful spirit. 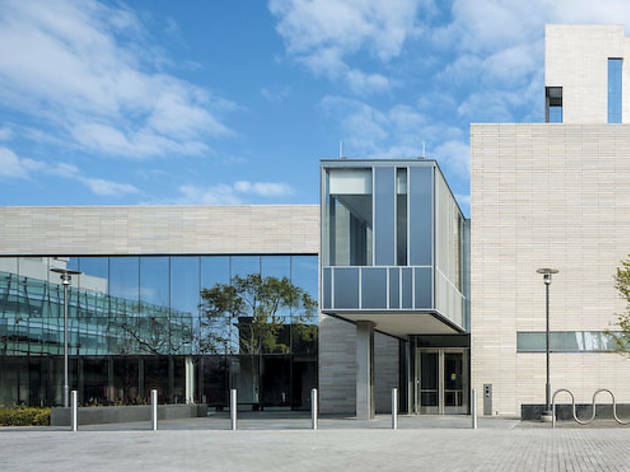 Fun fact The $35 million donation by Reva and David Logan is believed to be the single largest cash gift to the arts in the city of Chicago. 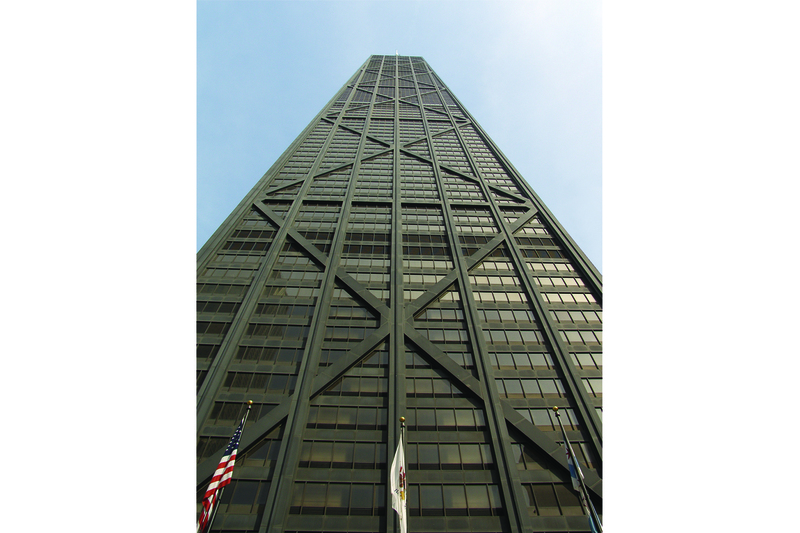 The John Hancock Center, which towers over Streeterville, has offices and residences plus television and communications equipment, and retail, but it’s best known for the 94th-floor observatory, where you’ll find Tilt, the simultaneously cool and terrifying new feature that tips you out 1,000 feet above the city. Want to bypass the line? Head up to Signature Room at the 95th, a bar and restaurant, where you’ll get the same view and a drink. Fun fact The building’s base used to be covered in marble, but it was replaced with gray granite in 1994. Before the marble was removed, the building was compared to a tuxedoed man wearing white socks. 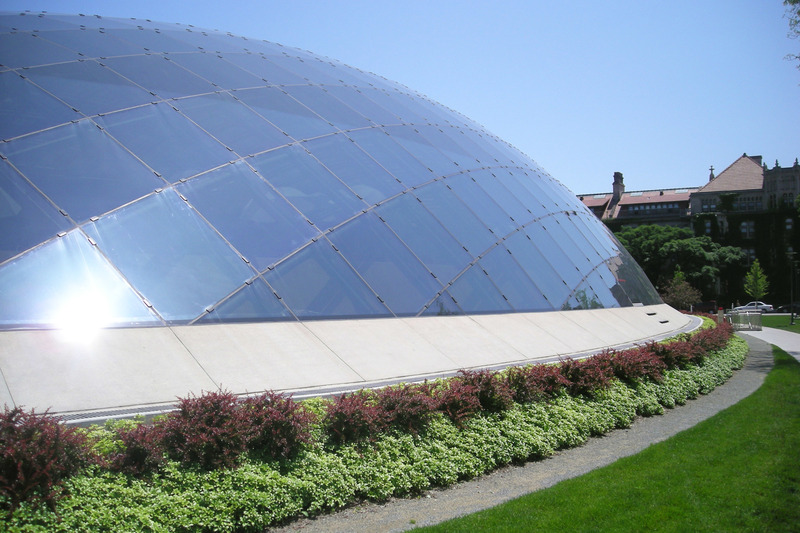 Standing in stark contrast to the brutalist architecture of the nearby Regenstein Library, this striking domed structure brings a touch of modernity to the University of Chicago campus in Hyde Park. The only part of the $81 million structure that most visitors will ever see is the naturally lit reading room, which allows students to study beneath the sky. 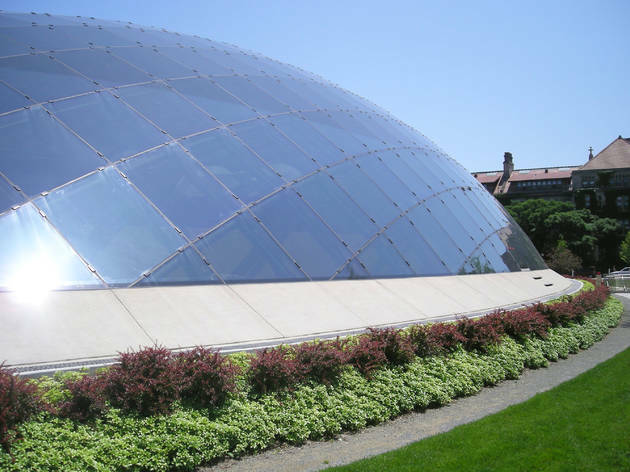 But the elliptic dome is just the tip of the library: The majority of the structure is subterranean, housing up to 3.5 million books in five floors of storage space that are accessible via an automated retrieval system that can produce a book in five minutes or less. Fun fact All of the glass located more than 18 feet above ground is coated with tiny ceramic dots that reduce the glass’s transparency, making it more visible to birds. 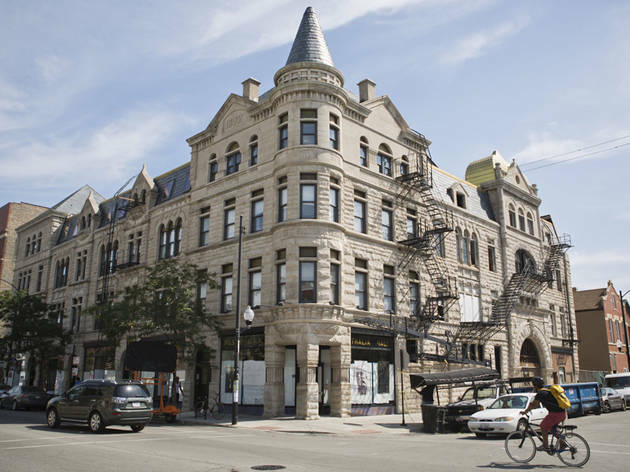 Originally erected to cater to the city's diamond jewelers, this building has a few notable features, including the Father Time clock and the dome on the roof, but its most intriguing feature hasn't existed for decades. 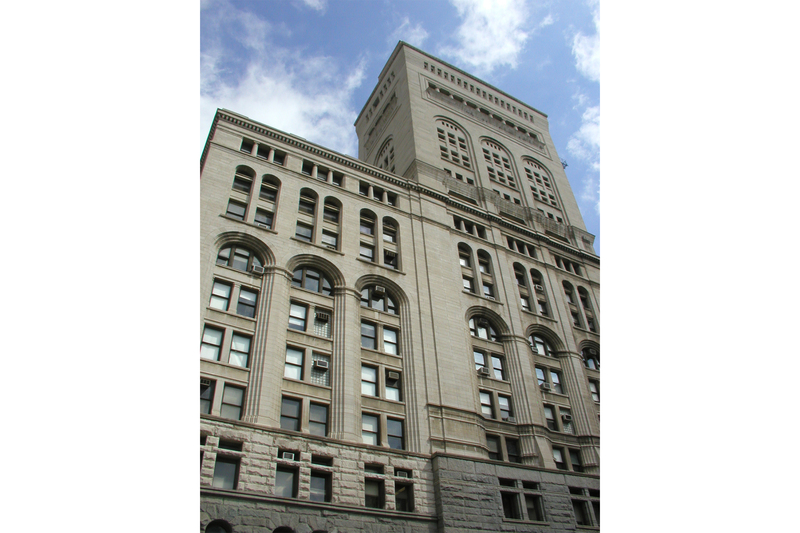 The former Jeweler's Building used to contain an auto elevator that traveled up to the 22nd floor, allowing its tenants to travel safely to their office without fear of having their precious bags of gems stolen. These days, the unique exterior of Joachim G. Giaver and Frederick P. Dinkelberg's structure can be found in film and TV, including Batman Begins, Transformers: Dark of the Moon and The Good Wife. Fun fact Al Capone was a frequent patron of the Stratosphere Lounge, a restaurant that was once located in the building's dome. Its thick, curving exterior and rust-brown brick are stunning but, for us, it’s the interior of the Monadnock that makes it special. Pull open the heavy wood-and-glass doors and you’re transported to the 1890s. The businesses on the first floor all have gorgeous wood doors with brass knobs and the name of the store written in gold on glass. Its mosaic tile floor gleams. Filament bulbs hang from brass light fixtures on the ceiling. Ornate silver metalwork adorns the first-floor staircase. It’s by far the most gorgeous way to walk from Jackson to Van Buren. Fun fact Monadnock is the name of a mountain in the developers’ native New England. 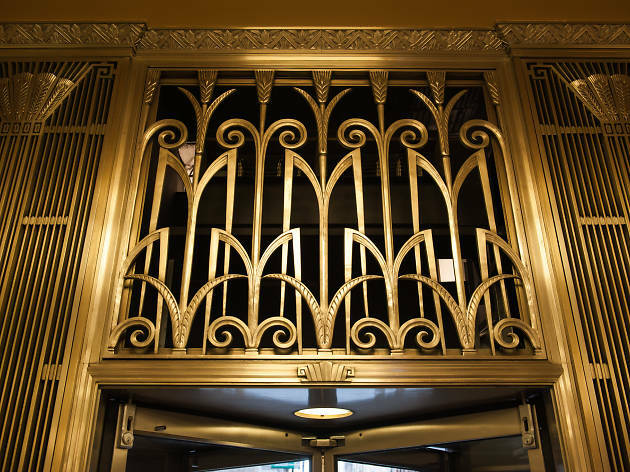 From its golden spire and gold leaf–draped cornices down to the brass metalwork above its entrances, this Art Deco gem exudes the excesses of the Roaring ’20s. 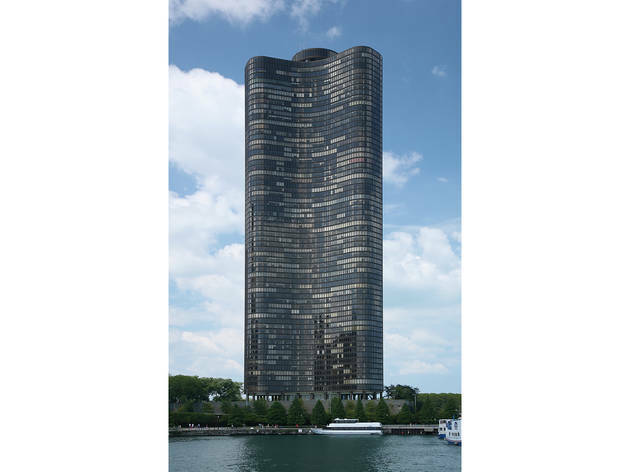 What sets it apart, though, are the building’s green terra cotta tiles, which are said to mimic a champagne bottle, and the tower its foil top. 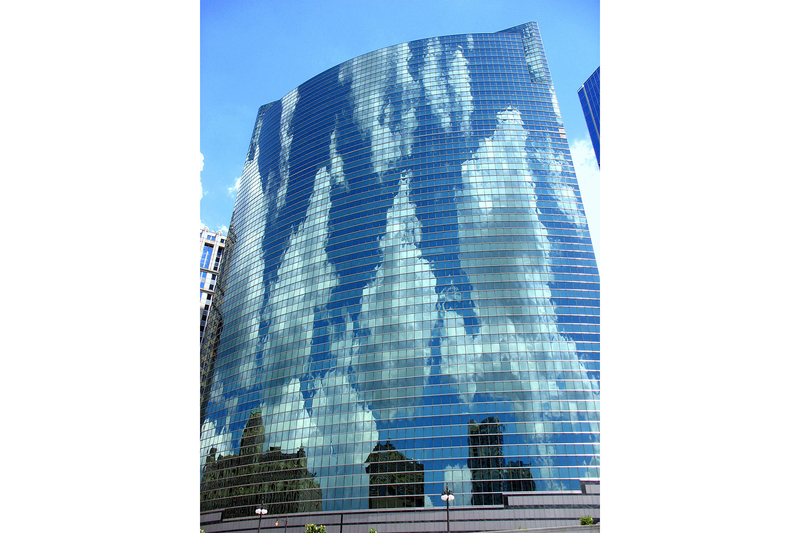 In a sea of gray and glass, this skyscraper is as refreshing as a glass of bubbly. Until recently, the building housed the Hard Rock Hotel—now it's been renovated and dubbed the St. Jane Hotel. 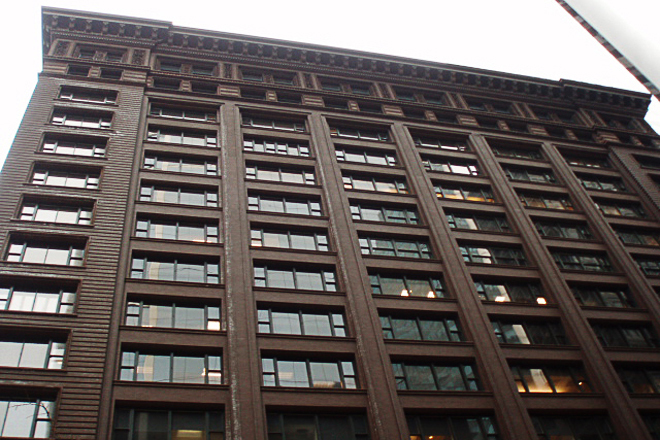 Fun fact The building’s architects were Daniel and Hubert Burnham, sons of Chicago’s favorite city planner Daniel Burnham. 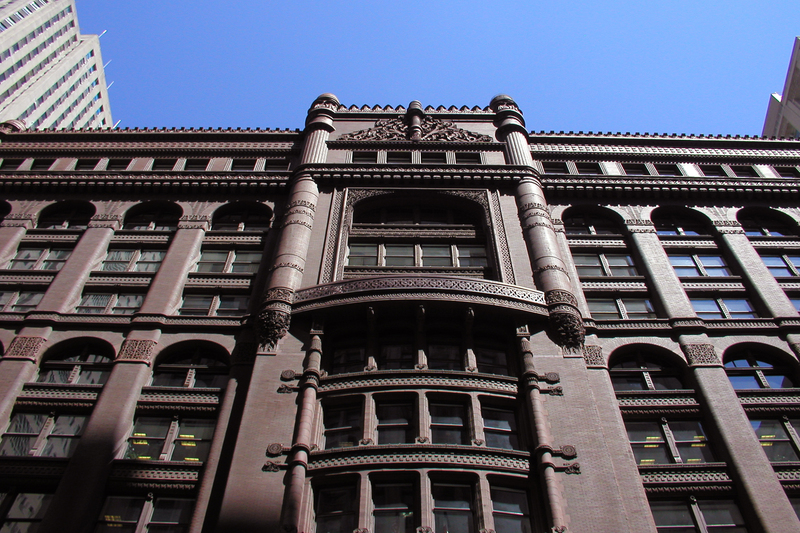 The warm, reddish-brown exterior of The Rookery instantly sets it apart from the surrounding Loop skyscrapers. 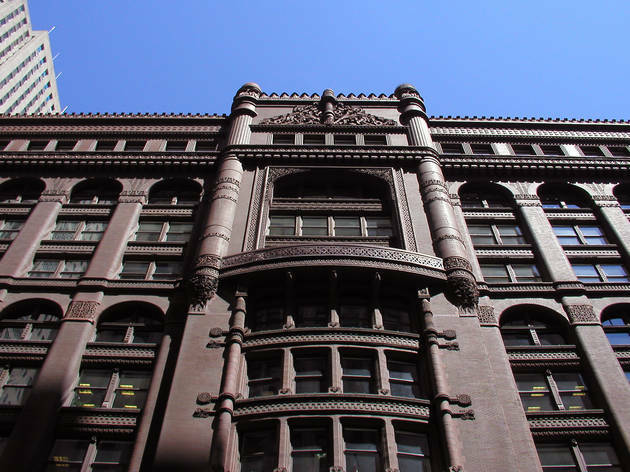 Look closer and you'll find beautiful details in the columns and windows where architects Daniel Burnham and John Root drew from multiple architectural styles. 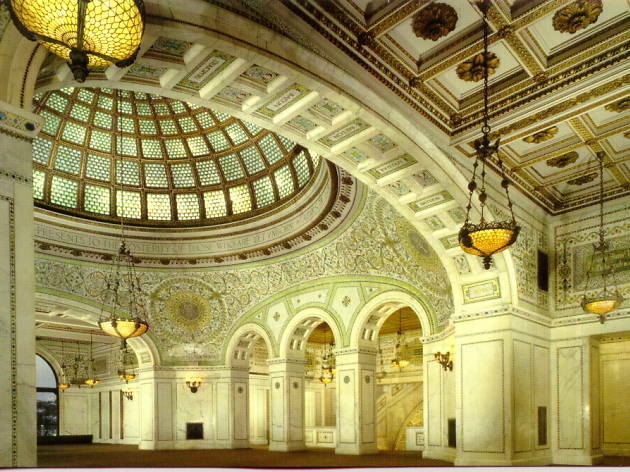 Burnham and Root must have been proud of the building, as they set up shop in it to plan the 1893 World's Columbian Exposition. 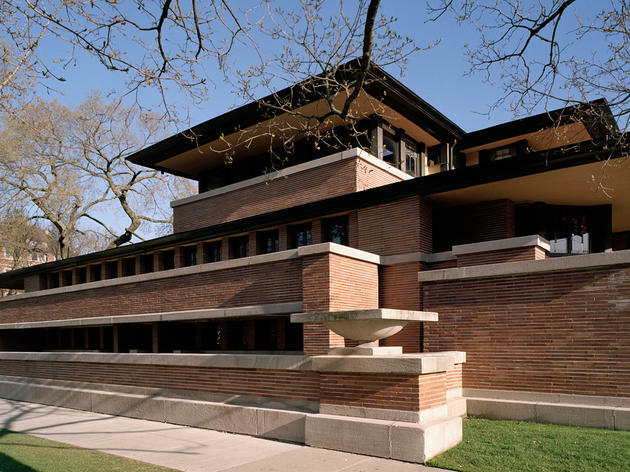 The breathtaking light court was updated by Frank Lloyd Wright in 1905 and features an impressive glass ceiling, marble columns and sweeping staircases. Fun fact It's the oldest standing skyscraper in the world. 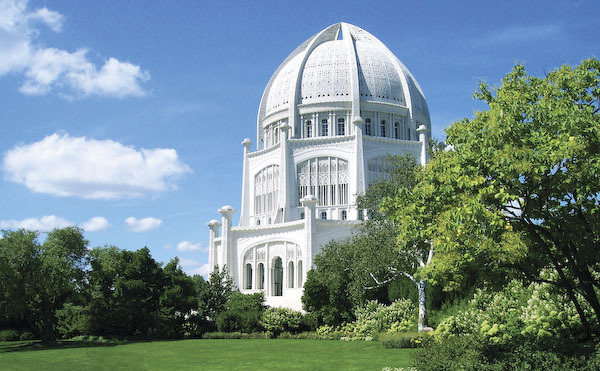 It took 41 years to construct this jewel of Wilmette, after the cornerstone was laid by Abdu’l-Baha in 1912. That's a level of patience and detail only afforded by religious structures. 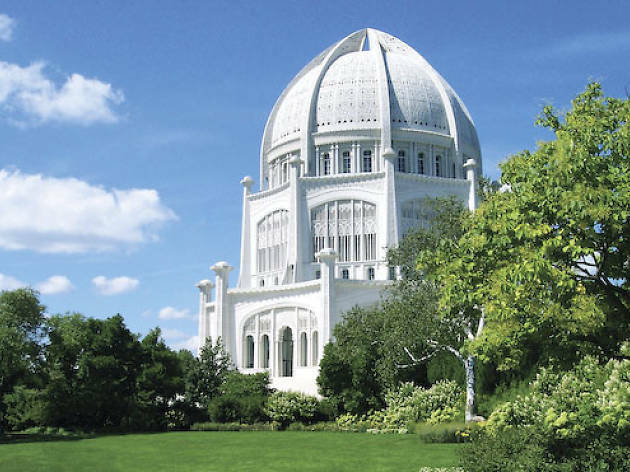 One of seven Bahá'í temples on the globe, all of them shaped as a nonagon, the North American dome is perhaps the most classicist. Architect Louis Bourgeois (insert North Shore joke here) gave our lakefront a taste of the old far east. There are fewer more beautiful ways to laze away an afternoon than strolling through flowers in the surrounding gardens. Fun fact Rainn Wilson of The Office and soft-rock duo Seals and Crofts are of the Bahá'í faith and have visited the temple. Is there a more appropriately named skyscraper? 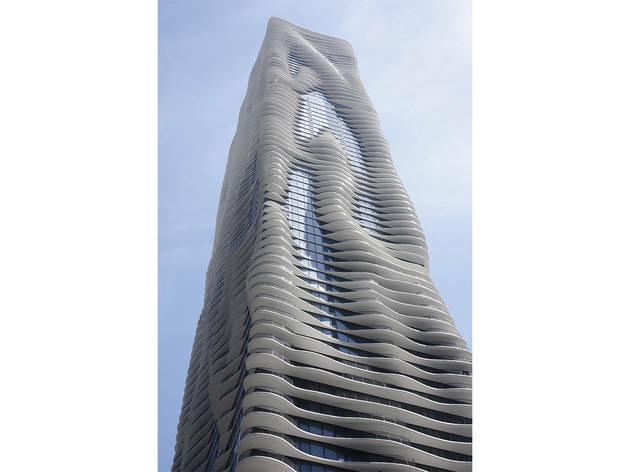 Concrete balconies ripple like foaming waves over the sea-blue glass on Jeanne Gang’s award-winner. The sinuous projections also recall topographic maps and those cardboard dinosaur skeleton kits you get at the Field Museum. Studio Gang’s masterpiece (to date) announces that the future is going to not only be better for the environment, but better for the eye and imagination as well. Fun fact The underground garage features the city’s first public electric car charging stations. 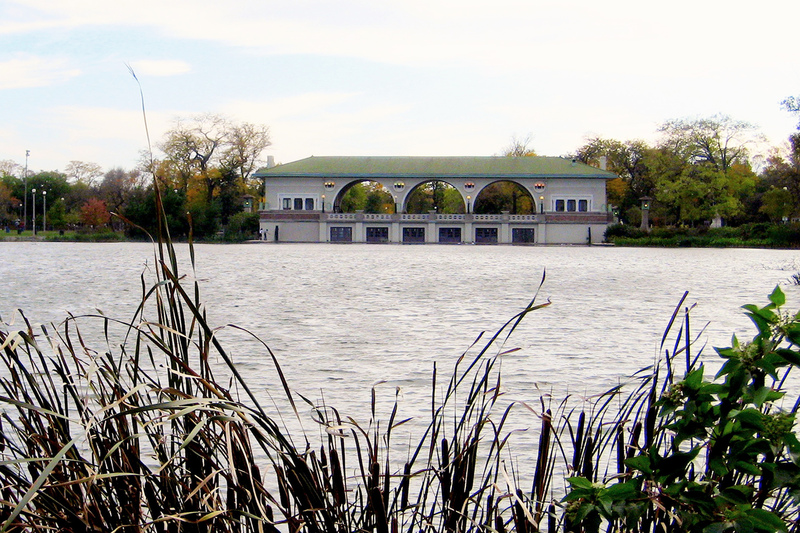 Designed by Frank Lloyd Wright contemporary Hugh Garden, the Humboldt Park Boathouse is a textbook example of Prairie School architecture. Situated on the banks of a lagoon, the horizontal structure echoes the flat landscape of the park, featuring an open-air pavilion that allows the surroundings to become a part of the building. 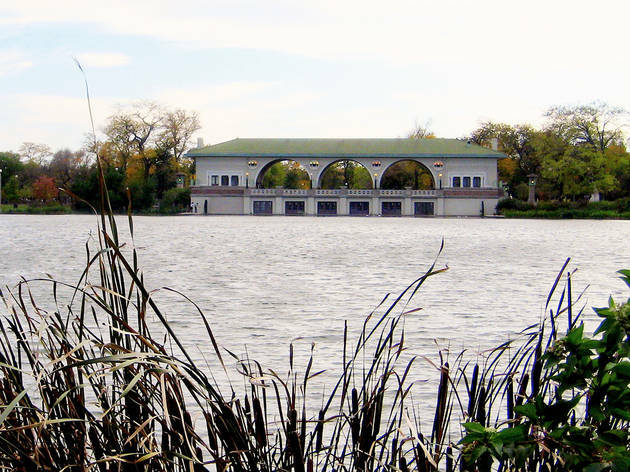 Originally a storage facility for row boats and a gathering place for concerts and events, the boathouse fell into disrepair before the city deemed it a historic landmark and helped fund its restoration. 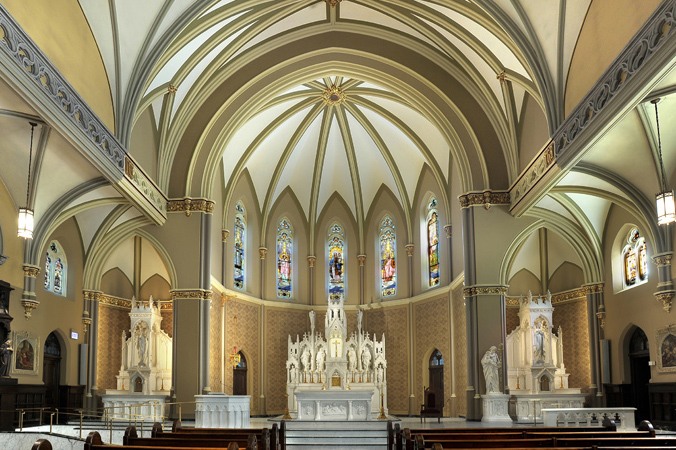 Today, it’s a popular destination for wedding photographers and architecture tours. Fun fact The boathouse used to be flanked by a music courtyard where bands would perform, but it was turned into a parking lot when automobiles became popular. Described as "landscape art under glass," this colossal West Side complex houses hundreds of plant species in a handful of climate-controlled rooms. When it was constructed between 1906 and 1907, the design was considered radical. These days, it's just plain rad. 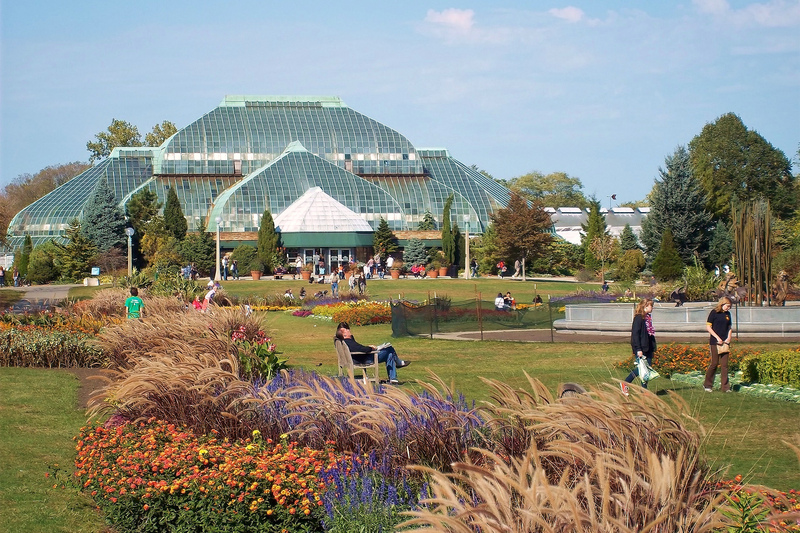 Fun fact A hailstorm in 2011 broke many of the conservatory's glass panels. Since being repaired with laminated glass, the structure has proved to be more resiliant to weather. In 2013, Thalia Hall opened as home to Dusek’s Board & Beer and Punch House and, in 2014, the building opened its concert space. Great idea, right? 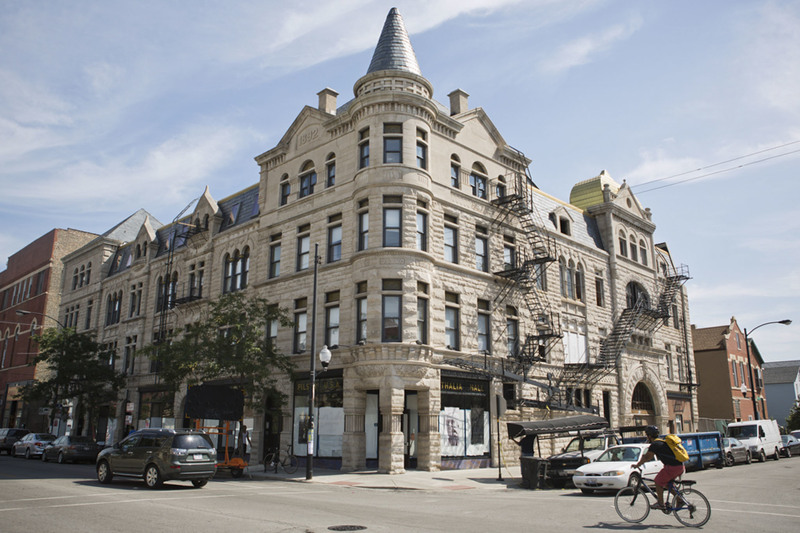 John Dusek had a similar idea in the 1890s, when he created Thalia Hall to showcase entertainers from Bohemia, as Pilsen had a huge Bohemian population (the neighborhood is named for the second-largest city in Bohemia, now the Czech Republic). The space, designed by the architectural firm of Faber and Pagels, still has its original ceilings and light fixtures. The building has also included a movie theater, community gathering space, apartments and retail. Fun fact The building is modeled after the Prague opera house and named for the Greek muse of comedy. The northern reaches of Sheridan Road have an air of the ring-a-ding-ding seaside resorts of yore. 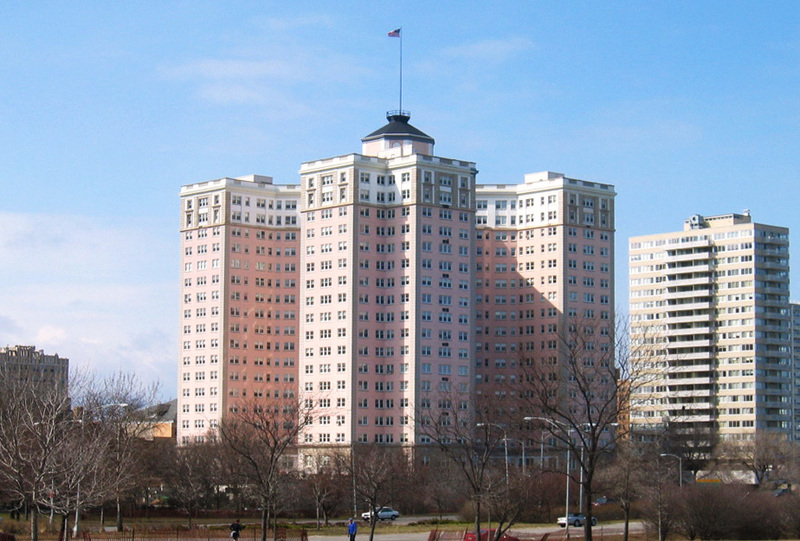 At the start of a long row of mod condo towers and erstwhile hotels, the Edgewater Beach Apartments sit like a massive pink wedding cake or something from a Wes Anderson movie. Benjamin Marshall of Marshall and Fox designed the X-shaped structure to complement its yellow twin, the Edgewater Beach Hotel, built 12 years prior in 1916. The hotel is long gone, but something romantic and nostalgic remains about this place, even as it shows its wrinkles. As you sit in the unavoidable traffic outside, you expect to see the ghost of Marilyn Monroe (who stayed here) shopping for hats and vanilla ice cream. 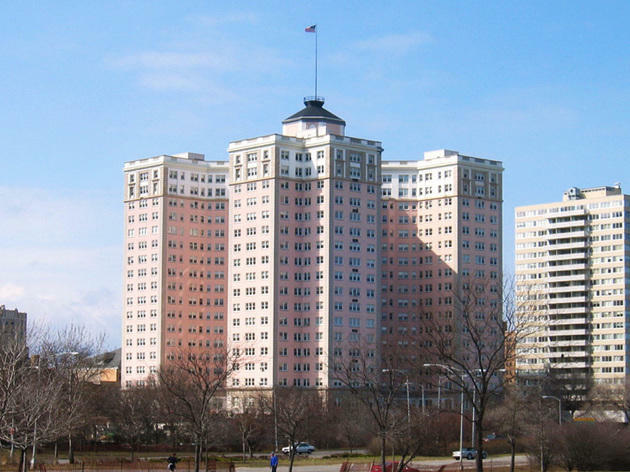 Fun fact Big bands led by swing titans like Benny Goodman and Glenn Miller played here and broadcast on the Edgewater Beach Apartment's own radio station, WEBH. 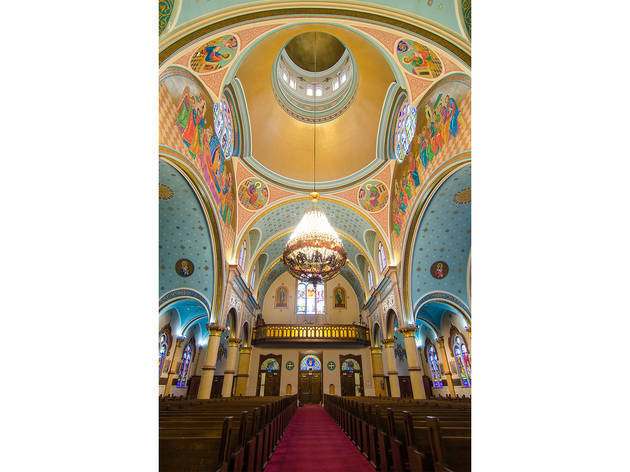 This Ukrainian Village landmark, modeled on the Cathedral of St. Sophia in Kiev, is topped with 13 domes, one for Jesus and each of his apostles. Inside the cathedral, which can hold 1,000 worshipers, you’ll find an impressive blend of frescoes, mosaics, stained glass and, hanging in the center from the highest dome, a nine-tier golden chandelier. Fun fact St. Nicholas claims its chandelier, with 480 lights, is the largest of its kind in the United States. A former country club that was sold to the Chicago Park District in 1975, this Mediterranian Revival structure boasts grand chandeliers, an expansive ballroom and other opulent details. When it's not being rented for weddings and special events, visitors can venture inside to take a peek at the center's formal solarium and pink-ceilinged ballroom. 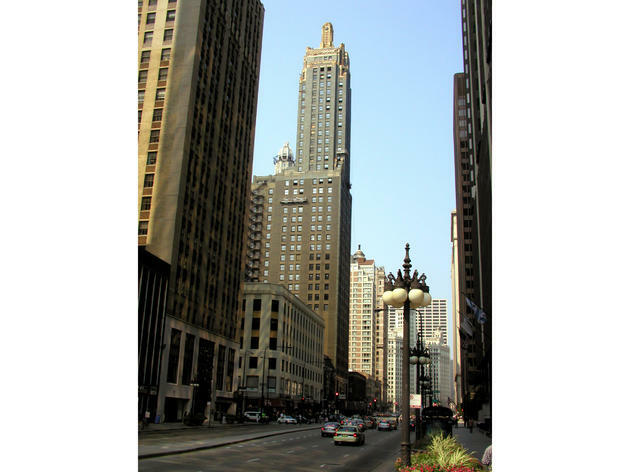 Fun fact In The Blues Brothers, the South Shore Cultural Center stands in as the exterior of the fictional Palace Hotel Ballroom, where Jake, Elwood and their band play a show and then evade law enforcement. 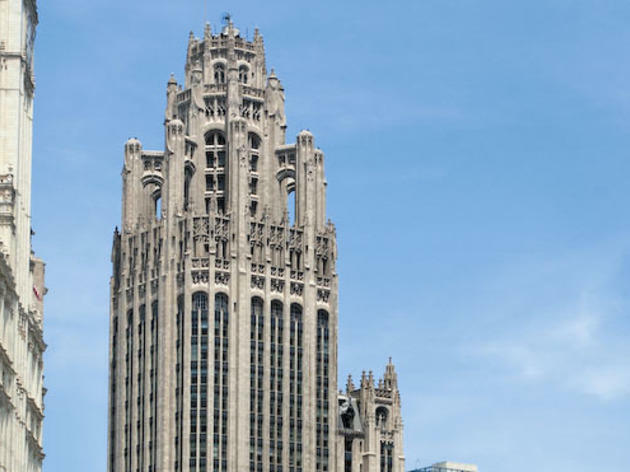 When the Tribune decided to build a new office on its 75th anniversary in 1922, it held a contest to pick a design for “the world's most beautiful office building.” The winning design, a neo-Gothic building with flying buttresses and spires, came from New York architects John Mead Howells and Raymond M. Hood (later the namesakes of the first-floor restaurant, which has a heck of a beer selection). 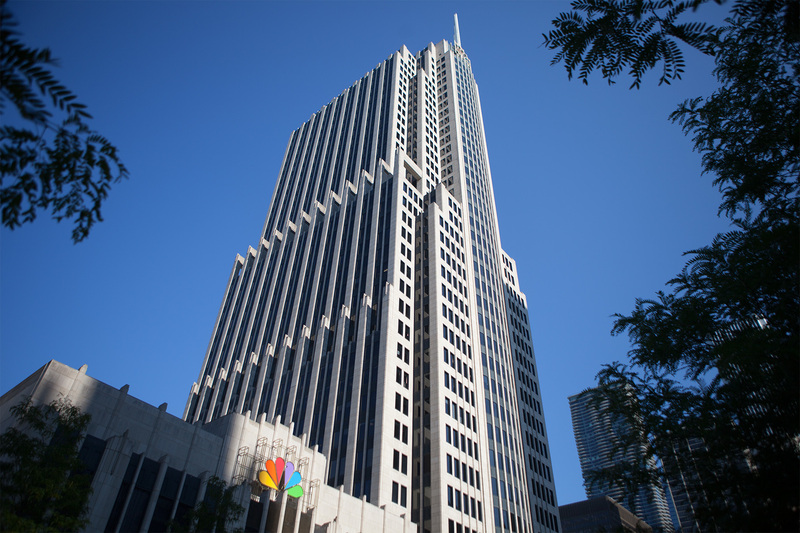 The 36-story building is made with a steel frame and Indiana limestone, the same kind of rock that covers the walls in Howells & Hood. 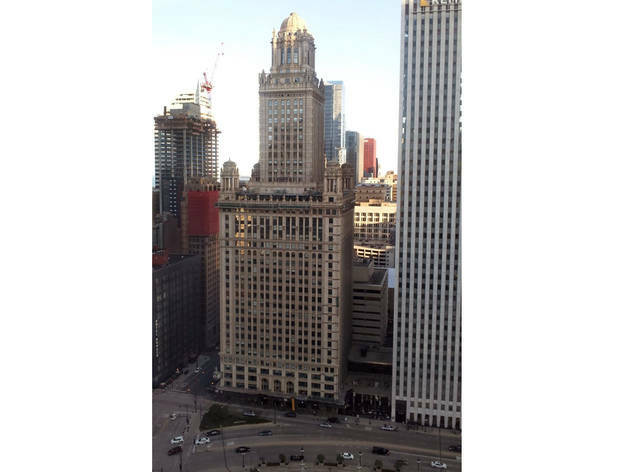 Sadly, the Tribune itself is no longer located in the building that will continue to carry its name—the structure is being converted into condos. Fun fact The exterior base of the Tower features embedded stones from locations around the world, including the Alamo and the Great Wall of China. And stones are still being added: After 9/11, a piece from the World Trade Center was attached. 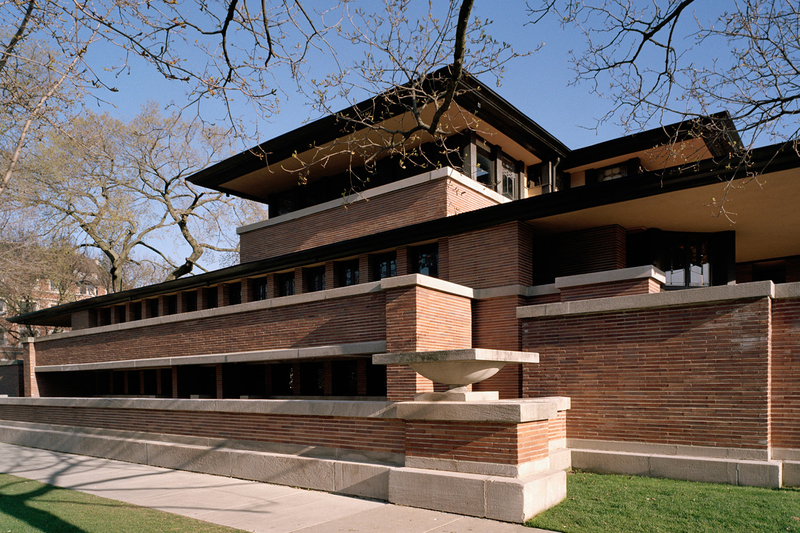 Frank Lloyd Wright designed the Robie House as a residence for the Robie family (who only lived in the house for 14 months, before financial difficulties required them to sell it), and the Prairie Style building has also been a dormitory and dining hall for the Chicago Theological Seminary, the University of Chicago Alumni Association and the Adlai E. Stevenson Institute of International Affairs. The house, which consists of two long, box-like sections that meet in the middle, is a great example of Prairie Style architecture, which echoes the lines of the Midwestern landscape. 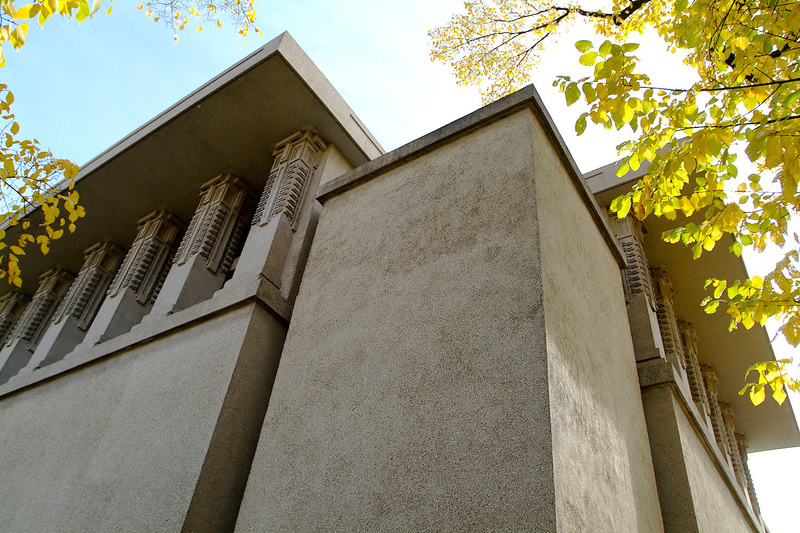 In 1997, the Frank Lloyd Wright Preservation Trust restored the house, which is open for public tours. Fun fact Wright designed the interiors of his Prairie houses as well, selecting the furniture, lighting and other elements to best suit the space. 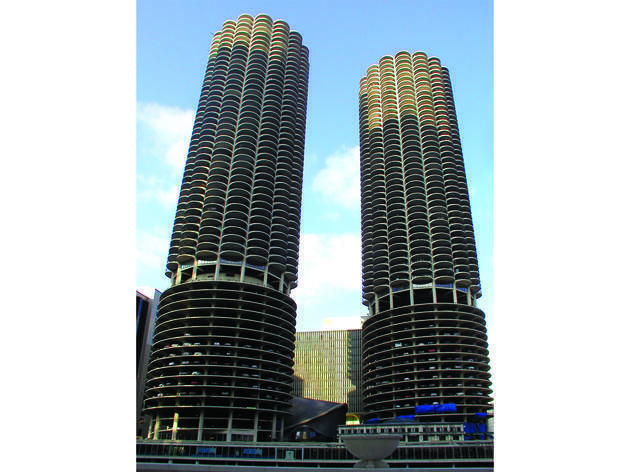 Architect Bertrand Goldberg had grand designs for Marina City when he began planning the project in 1959, envisioning a city within a city, with apartments, shops, restaurants and offices sharing a complex of buildings. Built on a piece of prime riverfront property, the development was one of the first projects to combine residential and commercial use on such a large scale. Today, the 65-story towers have been converted into condominiums, the complex’s theater houses the House of Blues and the former office building is now a hotel. Much has changed, but the majestic concrete swells of the iconic cylindrical towers still stand out amid a city full of angular structures. 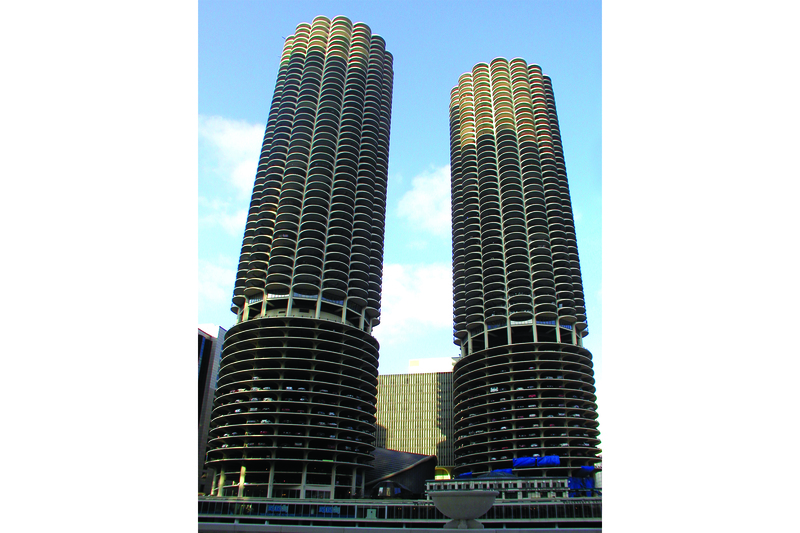 Fun fact Marina City was the first building in the United States to be constructed using a tower crane.